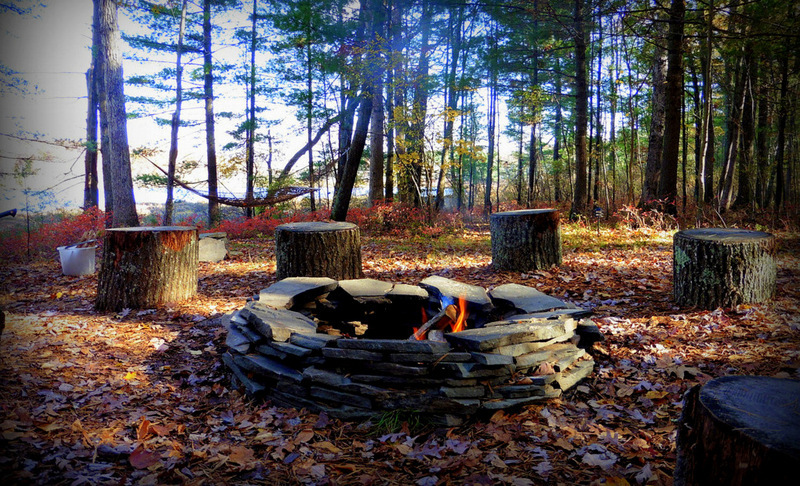 If you were lucky, you went to a terrific summer camp when you were a kid. Well, now you are all grown up, and your luck is holding out – because we have found the adult luxury equivalent of your bygone summers. 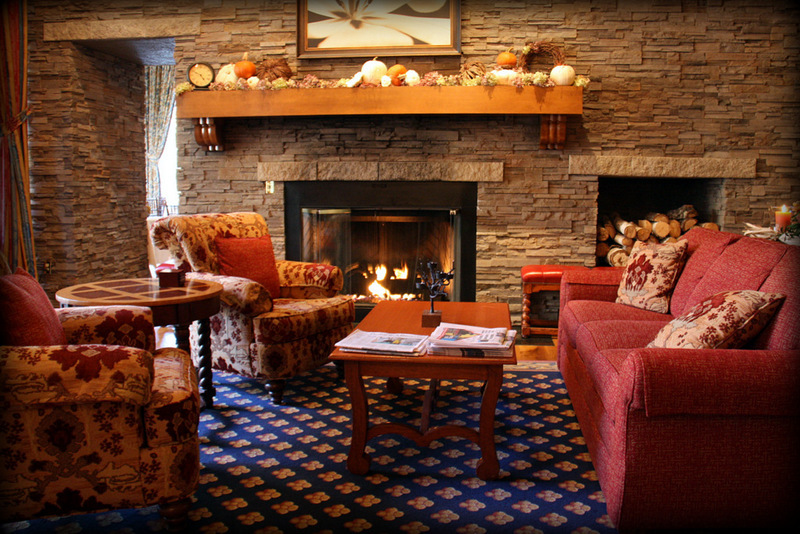 So come with us and relive those halcyon days of yesteryear at the Lodge at Woodloch in Hawley, Pennsylvania. 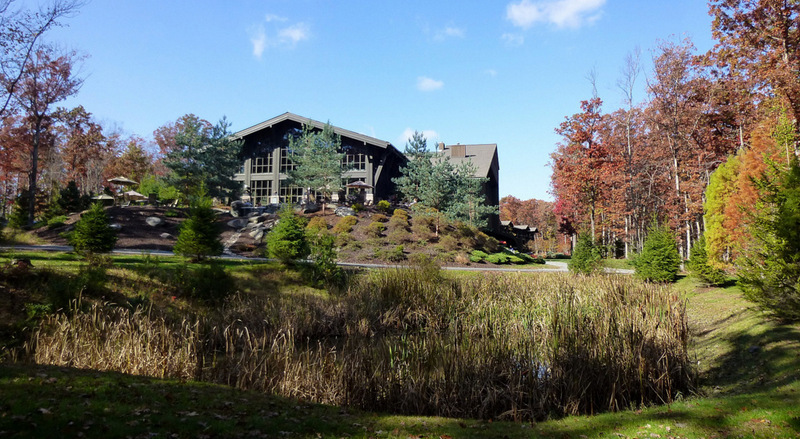 We found the Lodge at Woodloch during our writing swing through luxurious vacation destinations in the Northeast Appalachians, which include the Pocono, Adirondack, Catskill, and Berkshire Mountains. 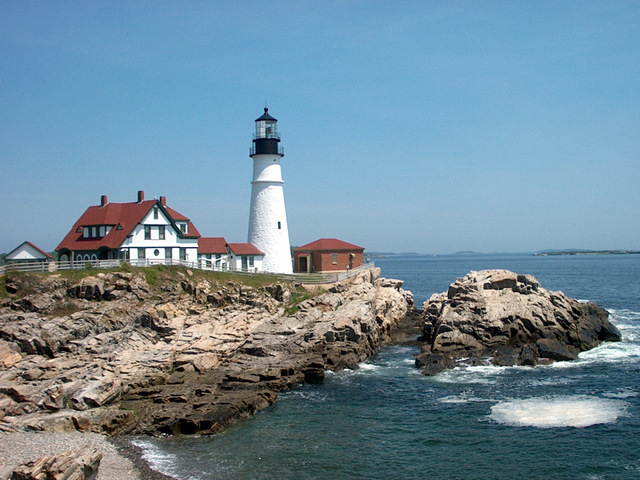 Our travels took us to New York, Pennsylvania, Massachusetts, Connecticut, and Maine. 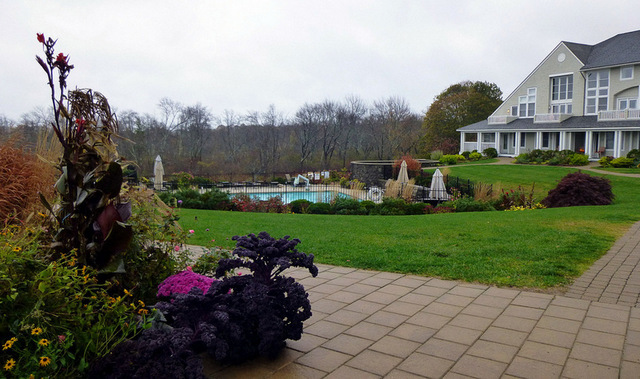 We stayed mainly at exclusive B&Bs, so a full-blown woodsy, all-adult resort and health retreat, was a nice change of pace. 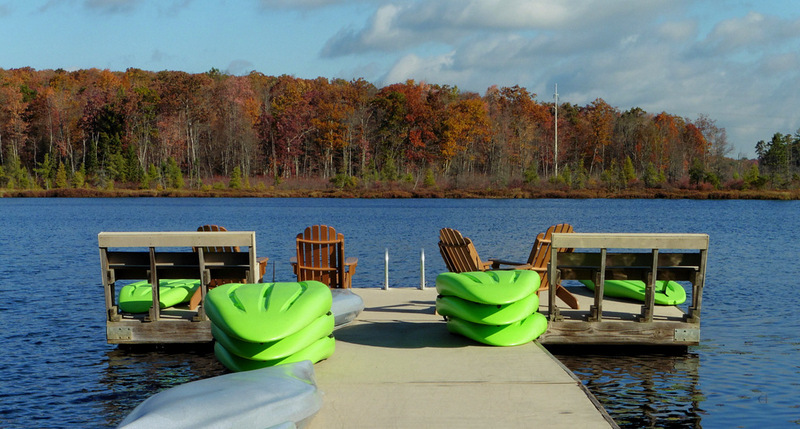 Just like our early memories of kid’s camp, the Lodge at Woodloch has hiking and biking trails aplenty, along with camp fires, a lake for fishing and boating – and advanced amenities like delicious wellness-centric meals, vegetable gardens, an orchard, and a first rate health spa. The developers of the Lodge at Woodloch believe that all vacationers that have an interest in the Lodge at Woodloch have a special connection with nature, and an affinity for other life forms. 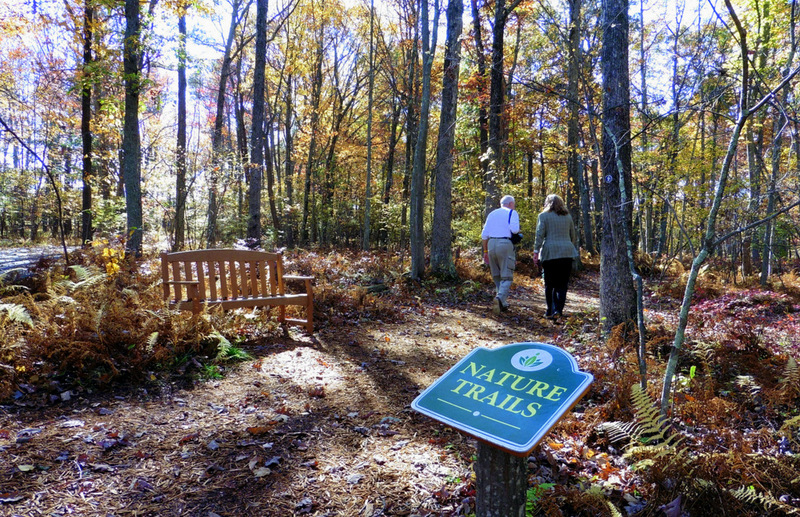 The developers take this belief very seriously, and everything at Woodloch supports their conviction. 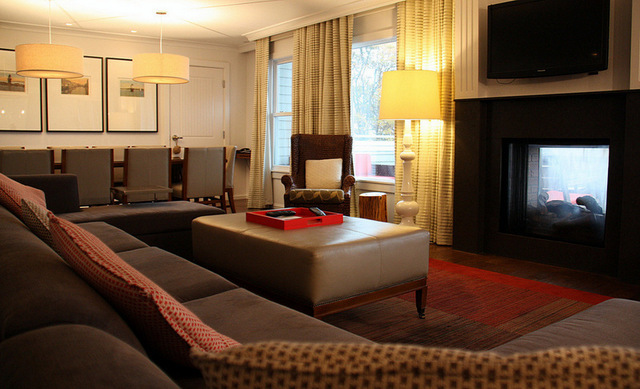 All the amenities we will mention (and more) are for the pampering of a relatively small number of discerning guests. 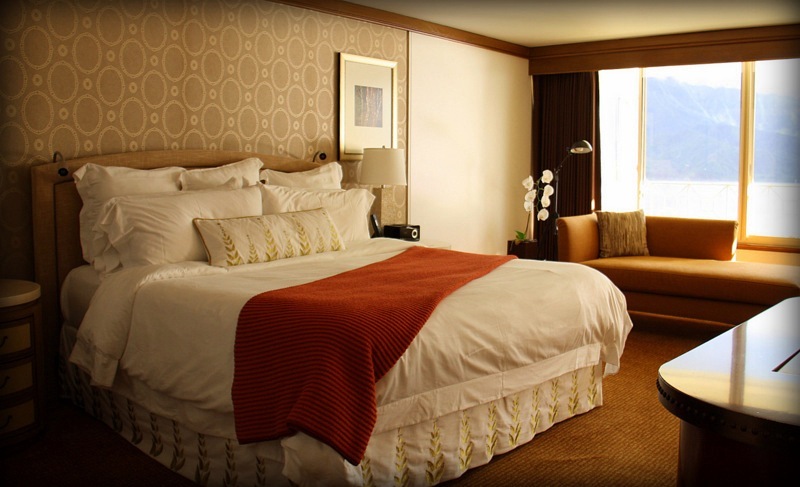 There are just 57 guestrooms in the entire resort. 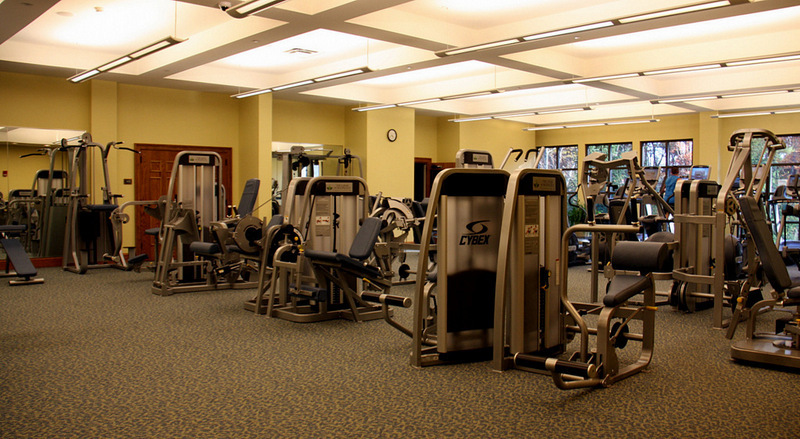 This refuge truly defines the height of America’s health-conscious aristocracy. The lodge building fits perfectly with the natural environment, and has just the right amount of secluded niches for those seeking quiet relaxation. 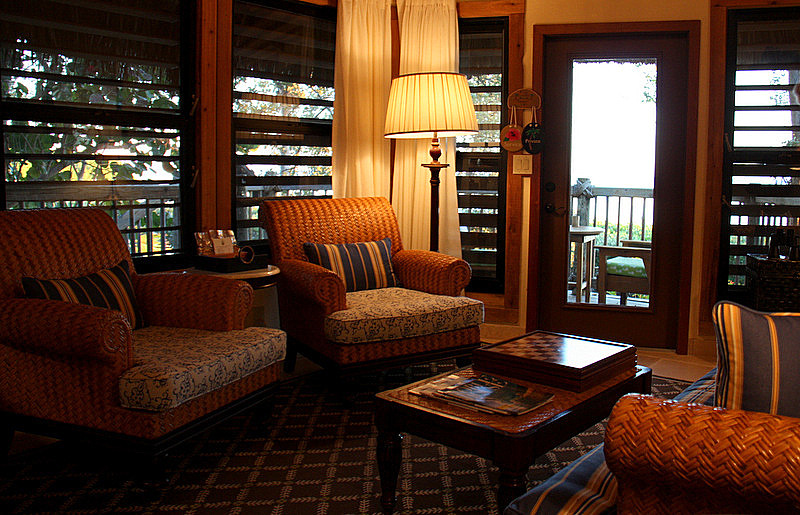 The sleeping rooms are well furnished and mindfully decorated to blend with the forest just beyond each guestroom door. 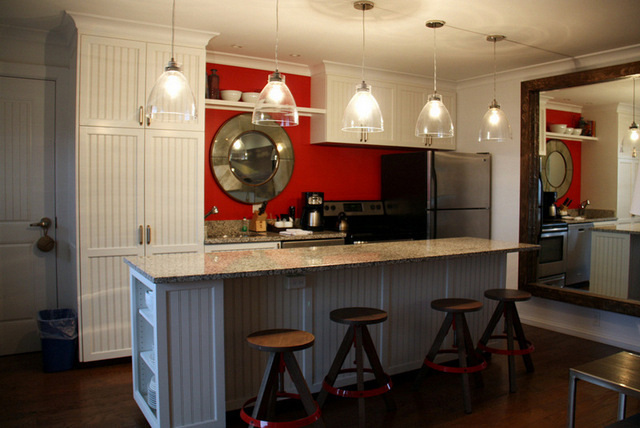 We also noted that the spacious quarters elegantly avoid being trendy or thematic. 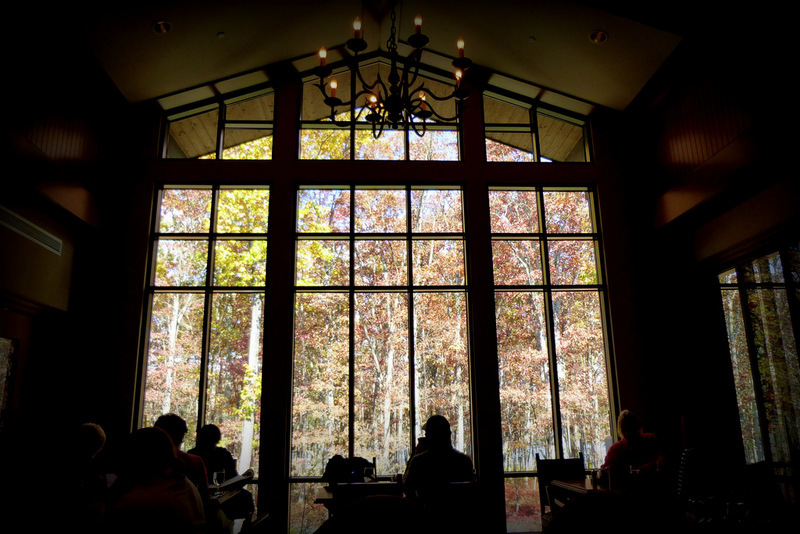 We ate all our meals at the TREE restaurant and bar, so named because of the exquisite outlook from the floor to ceiling viewing windows, featuring – what else – trees. If you are a devoted foodie, this all-inclusive resort is for you. There are food prep demonstrations, cooking classes, wine tasting, and an array of lectures for those interested in learning about the advantages of preparing, cooking, and eating proper foodstuffs. The in-house chefs have also one-upped the concept of “farm to table” dining, with their “table to farm” experience where a delicious meal is prepared and served in one of the resort’s three vast gardens. Really different, and great fun! 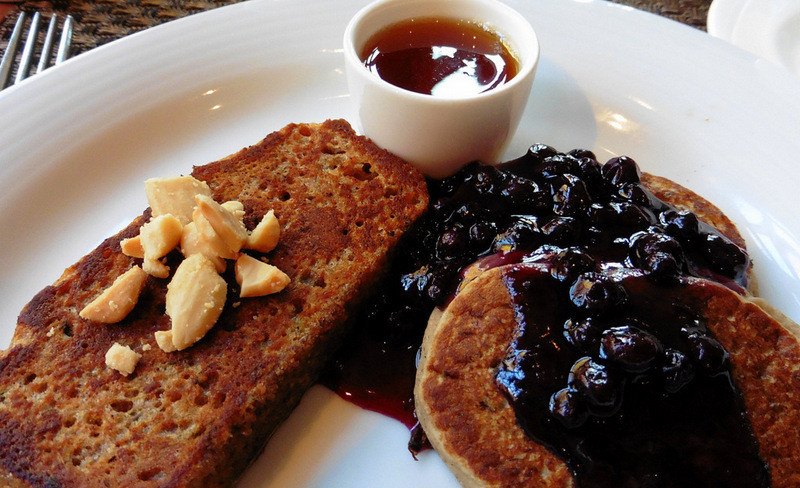 The resort’s menu is unique and chock-full of tasty healthy treats, check out this breakfast menu. 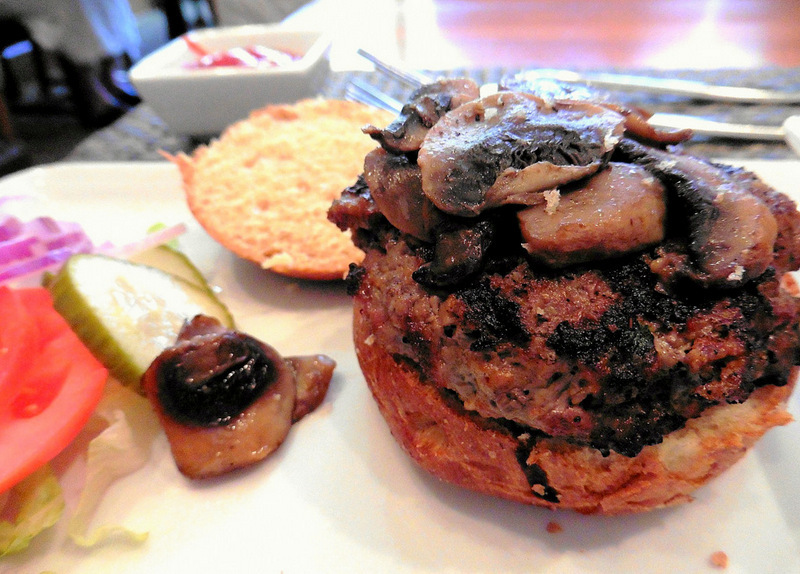 Here’s a photo of a succulent buffalo burger with mushrooms. 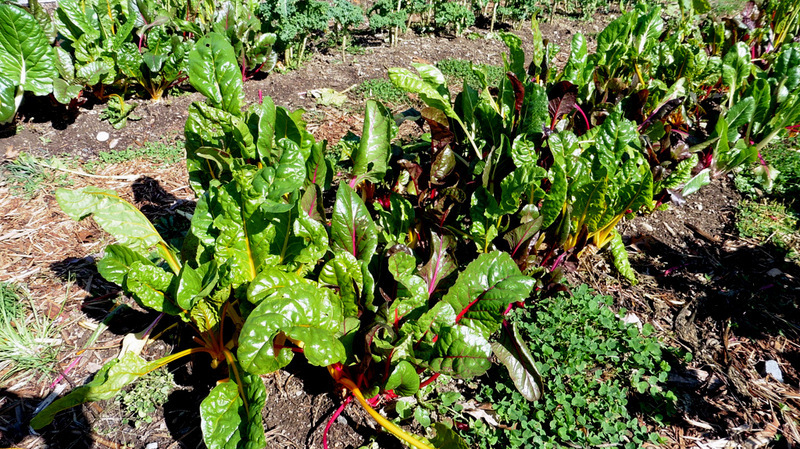 We were privileged to spend some time in the resort’s gardens where much of what is used in the kitchen is grown. 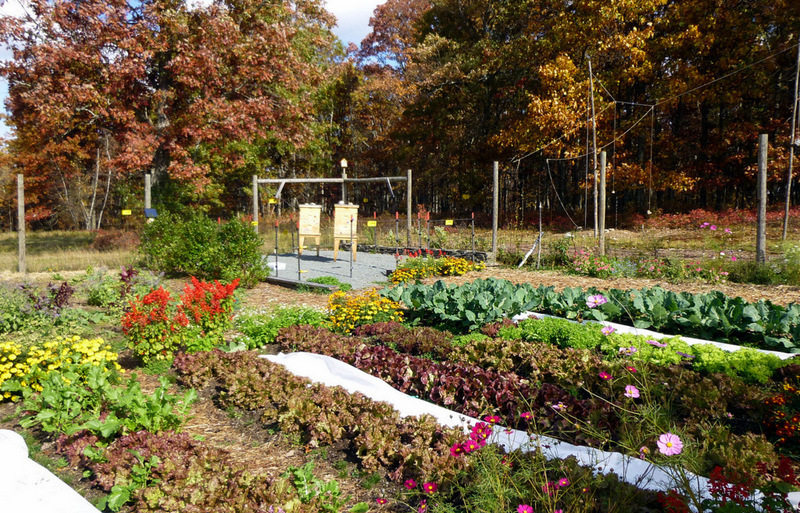 Chock full of produce goodies, the garden boasts currants, mint, rhubarb, raspberries, blackberries, gooseberries, and a large assortment of plants and herbs. Since our visit, we have learned that the resort has added an orchard. 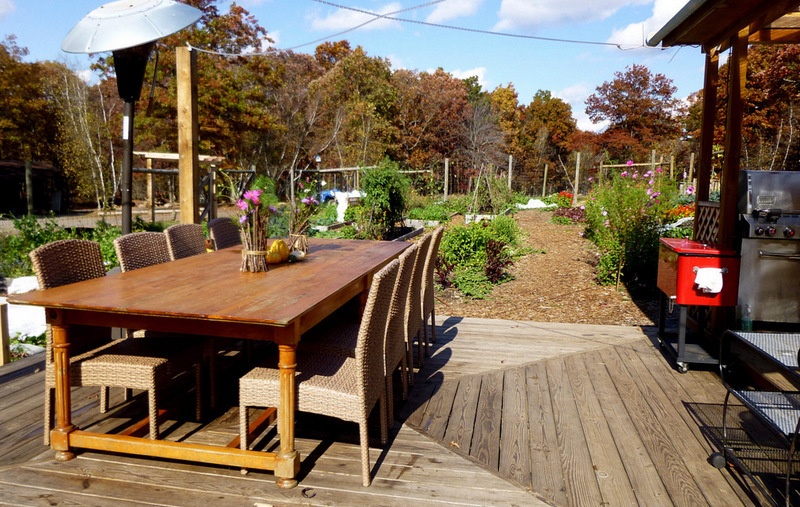 Two acres and 65 trees will bring a bountiful harvest of apples, pears, peaches, and plums to be enjoyed by the guests. You have undoubtedly heard about the decline in U.S. bee colonization. Well, the Lodge at Woodloch took steps to insure their 100,000 bee population would continue to grow. 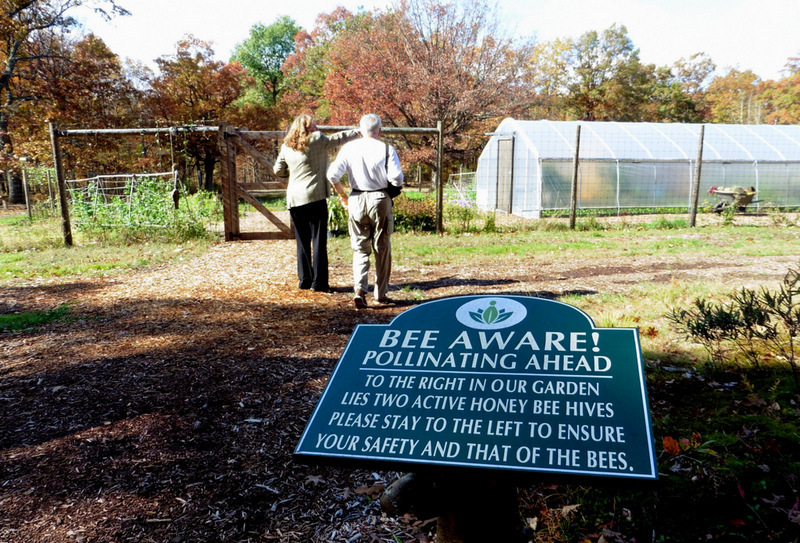 They sought, and obtained, a certification as a Pennsylvania Pollinator Friendly Property. These people are serious about natural symbiosis. The resort’s grounds quickly envelop you in their beauty. 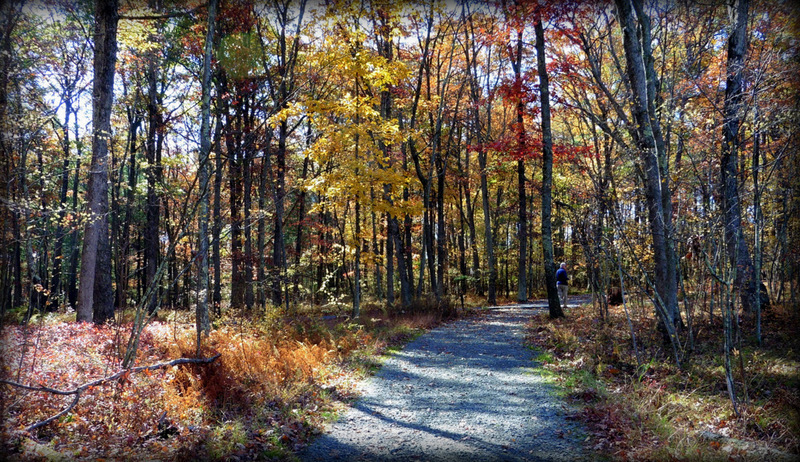 Our morning at the Lodge was spent walking some of the nature trails in this pristine 150-acre wilderness. 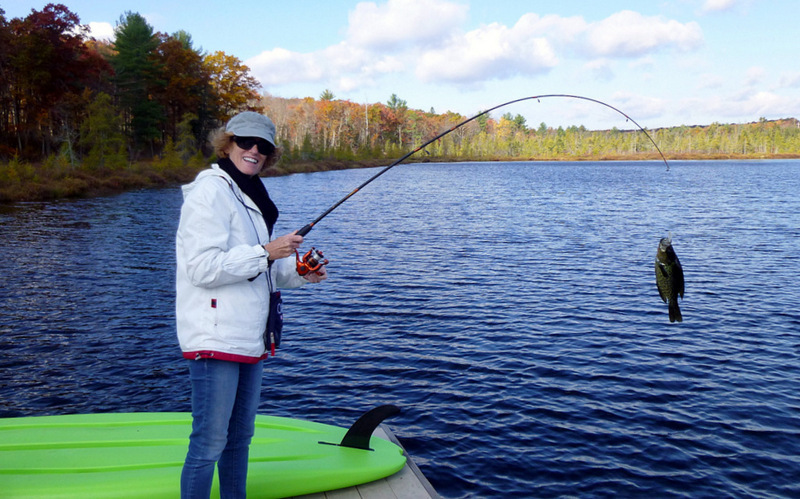 We ended up at the private 15-acre lake and decided to try our hand at fishing. 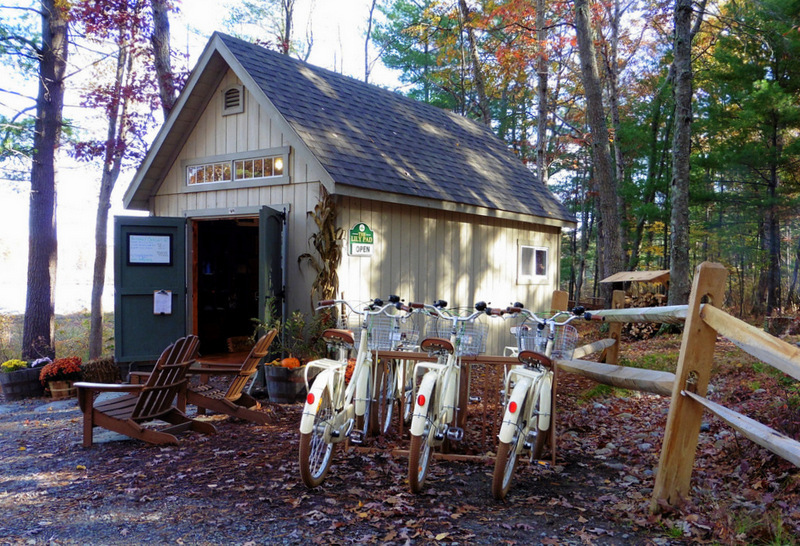 All the equipment we needed was available in the “Lily Pad,” lake shed located just a stone’s throw from the water. 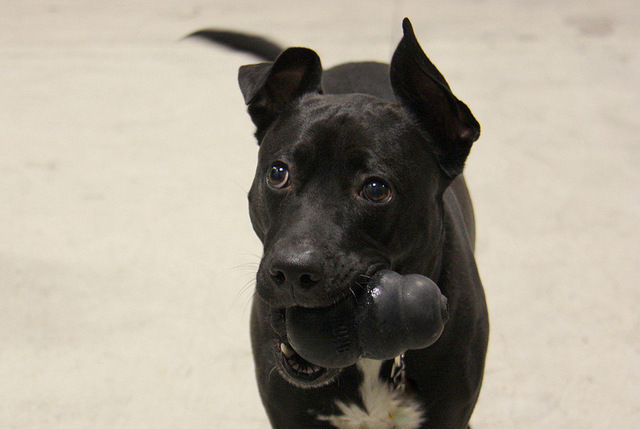 A couple of casts, and voila – success. 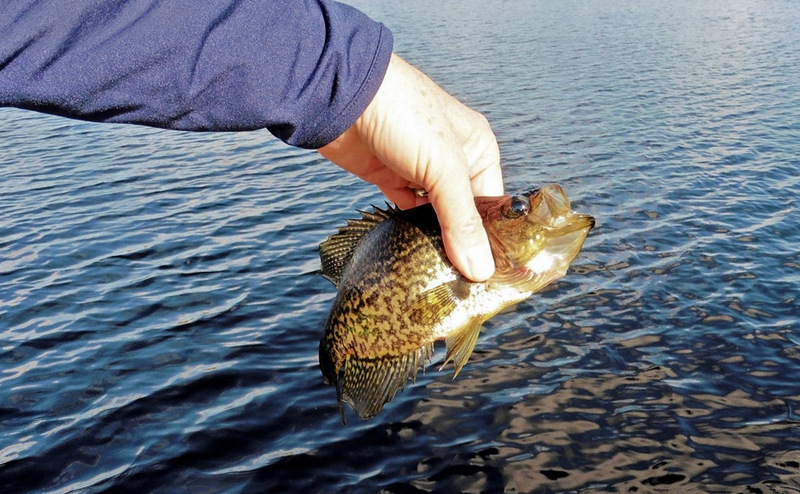 We caught several small, but spunky bass, which we quickly returned to the water after thanking them for participating in our holiday. 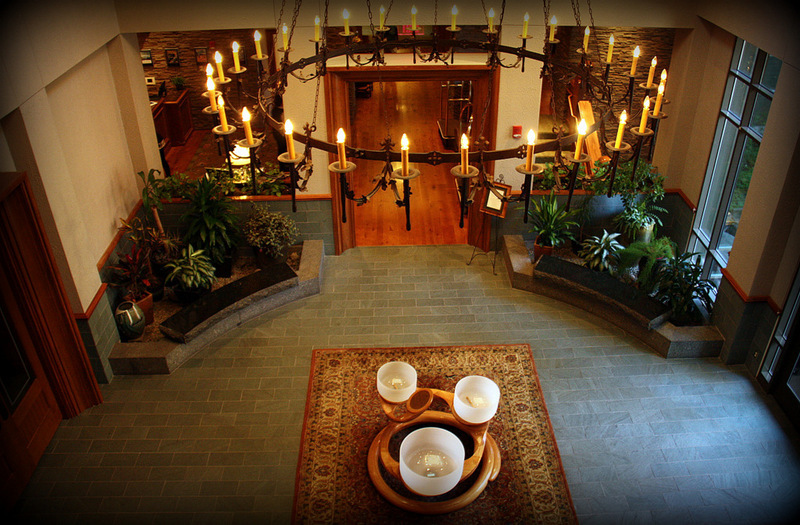 The focal point of the indoor experience at the Lodge at Woodloch is the spa with its 27 treatment rooms, and an extensive array of customized body treatments, massages, and facials. We could not photograph the occupied treatment rooms, but did manage to get images of the beautifully appointed changing rooms and the Aqua Garden’s Hydro Massage Waterfall. What a spectacular way to relax after a massage – and we did just that! Guests are invited to luxuriate in saunas, steam rooms, and whirlpools, as well as separate male and female fireplace lounges for the ultimate in introspective relaxation. 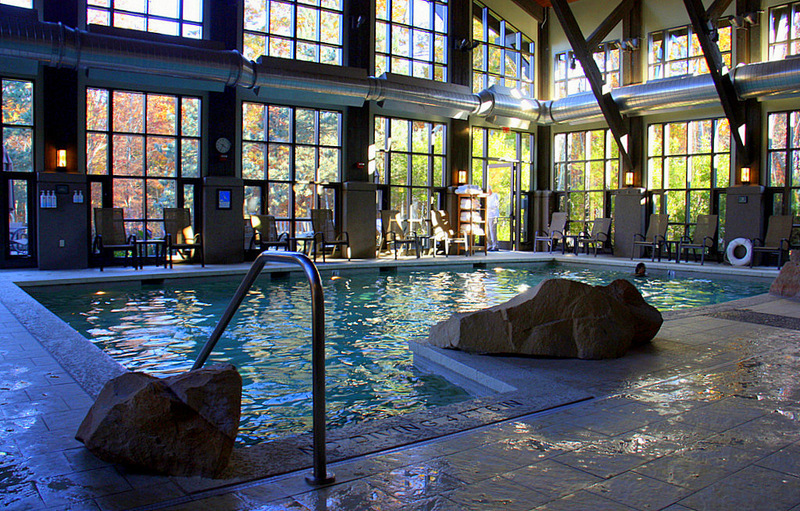 This spa and wellness center is a destination in its own right. 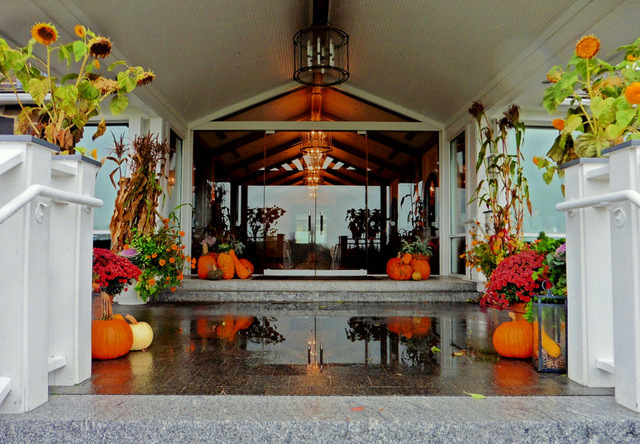 The Lodge is nestled in the far northeast corner of the scenic Pocono Mountains in Pennsylvania, in what is known as the Lake Region. It is a scant 95 miles from NYC and many major airports. 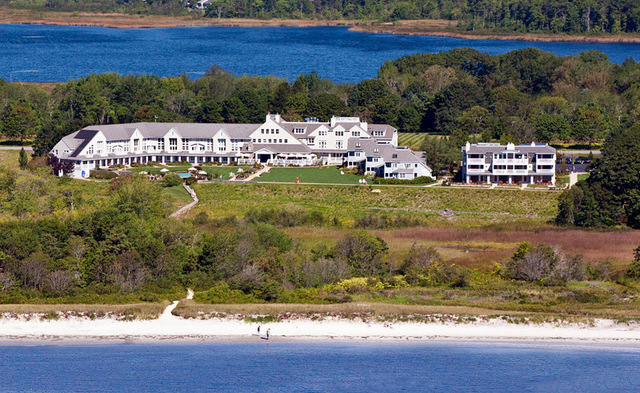 Like to stay at a resort that sports loads of awards? This is your spot. Check out this impressive list– a true standard of excellence achieved by few vacation destinations in America. 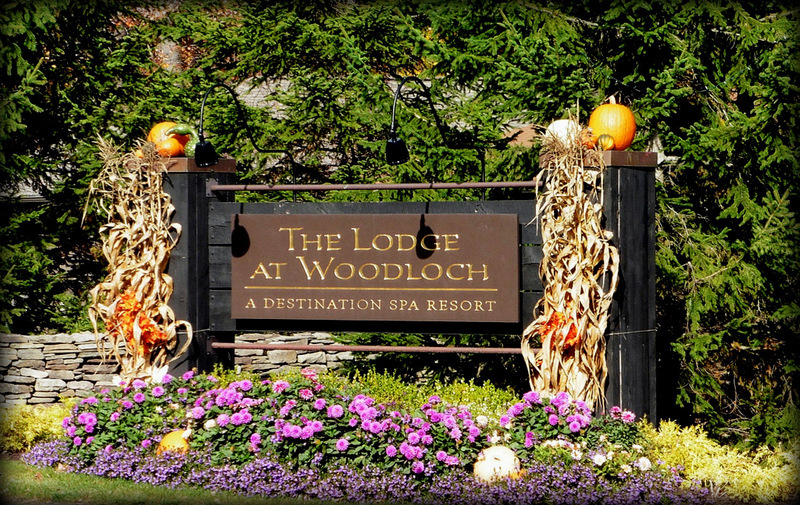 Whether you go to the Lodge at Woodloch for revitalizing, relaxation, nurturing, detoxing, a taste of good old fashioned nostalgia, or just an outing in the woods, this is the place to be. 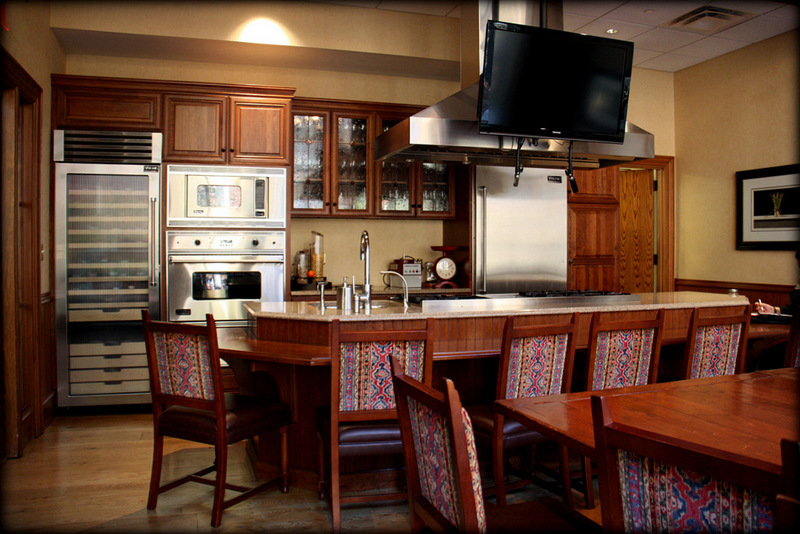 If you can, give yourself permission to enjoy a special vacation at the Lodge. You will not be sorry. 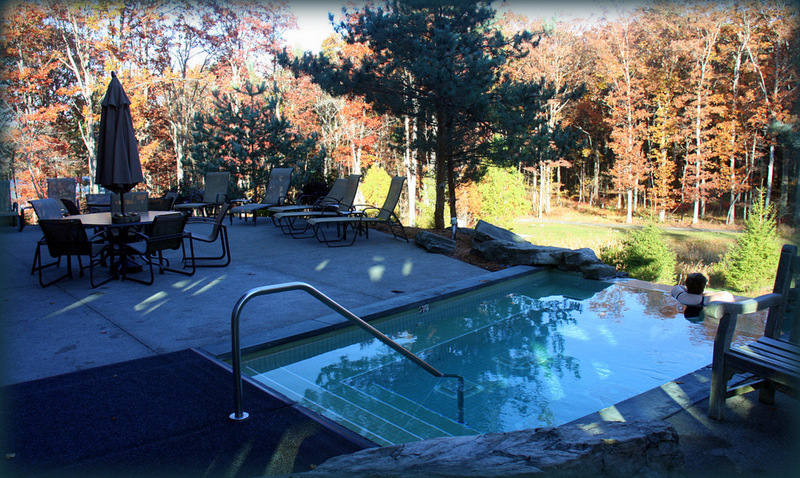 PS – if you are looking for a family resort, look no further than nearby Woodloch Pines Resort. We did not have time to drop by, but we were told it may be an even better place to reflect on those still remembered summers at kid’s camp – because it has – kids. 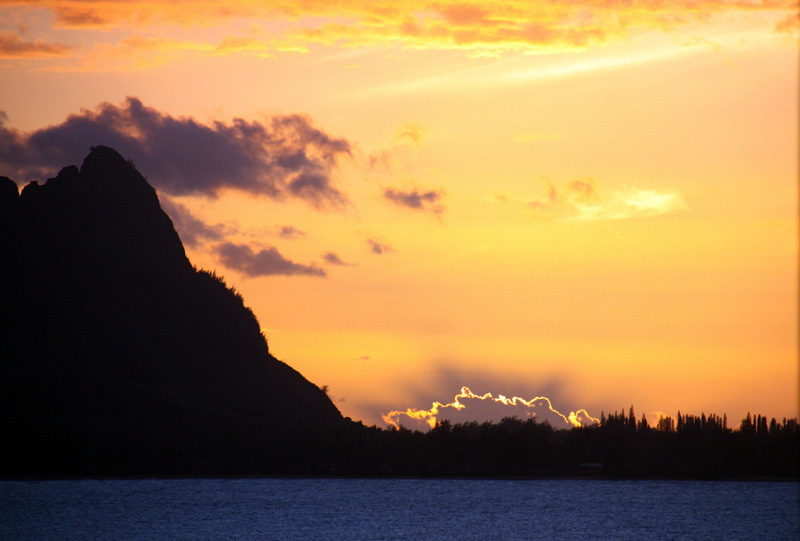 Often referred to as Hawaii’s “Garden Island,” Kaua‛i is a lush tropical paradise of towering cloud-crested green summits. The island has 50-miles of sandy beaches perpetually polished by translucent waves. It was undoubtedly the perfect island for the legendary St. Regis brand to open one of their unparalleled luxury resorts. 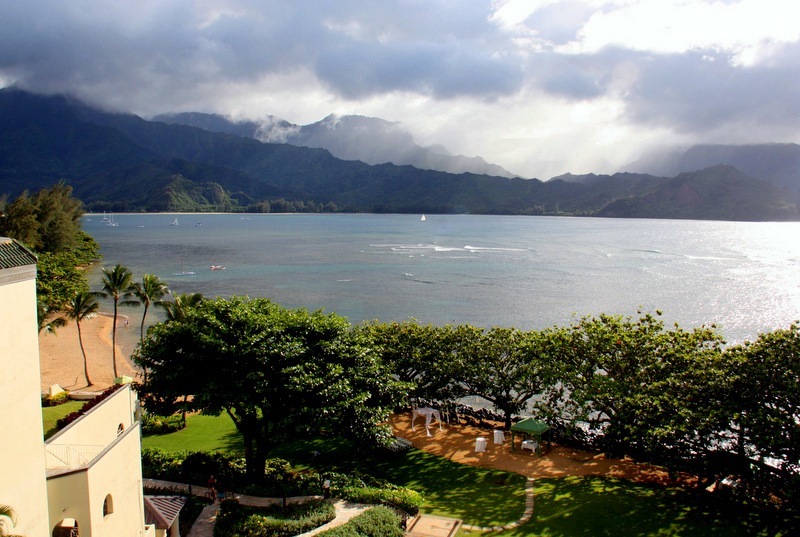 The Hawaiian St. Regis Resort at Princeville is surrounded by five verdant mountains overlooking the beautiful Hanalei Valley and the breathtaking Napali Coast. 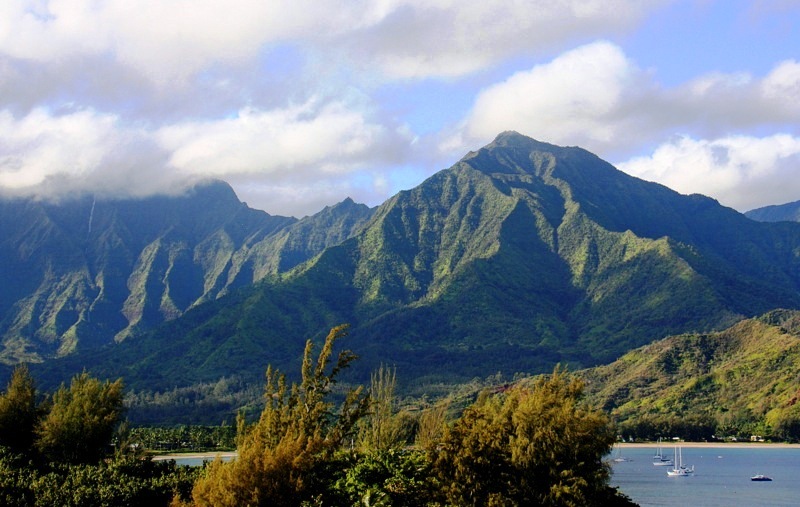 Kaua‛i’s north shore is also home to Makana Mountain, better known as the mystical Bali Hai in the movie. In this case, the real thing is more alluring than the illusion. 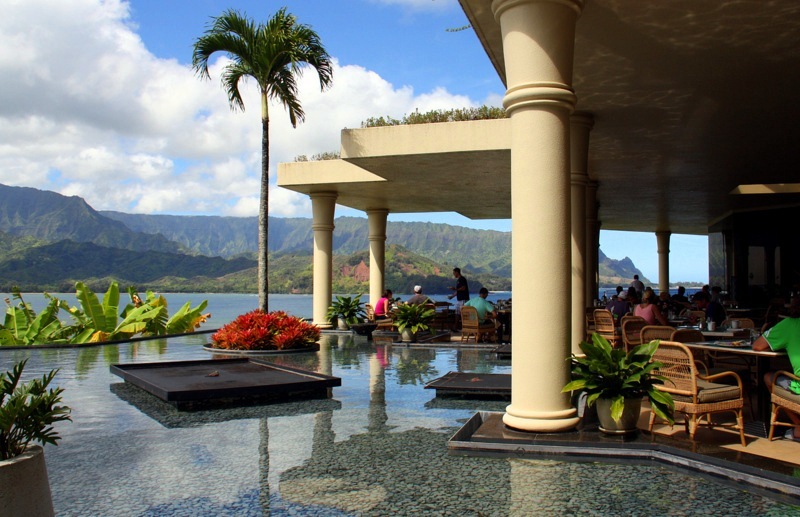 Kaua‛i is everyone’s dream-scene of a protected rain-forest Pacific Island paradise, and having chosen it, the St. Regis is now the preferred glamour address for the elite Hawaiian vacationer. 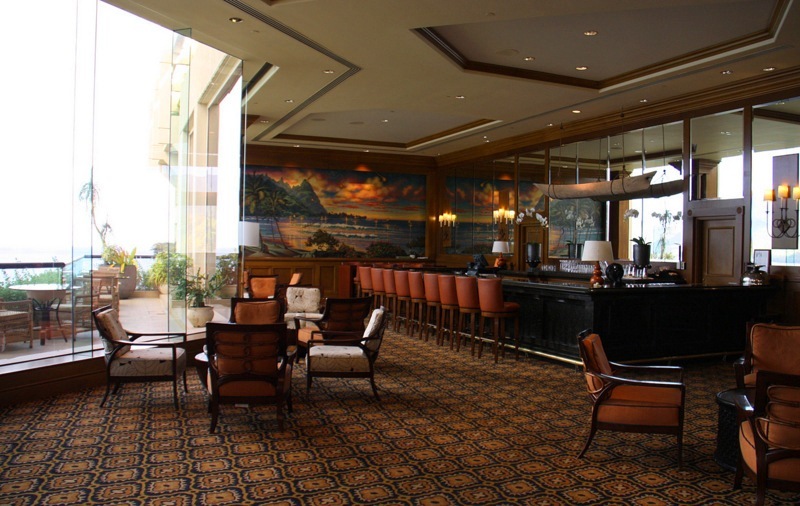 The location of the St. Regis in Princeville was named after the “Prince of Hawaii,” the official title of Prince Albert Edward, born in 1858 to King Kamehameha IV and Queen Emma, and godchild to Queen Victoria of England. Kamehameha IV and his family vacationed in the area in 1862. Sadly, the young prince died that same year, but out of respect, the area has retained the legacy name. Our arrival felt like the beginning of an episode of Lifestyles of the Rich and Famous. 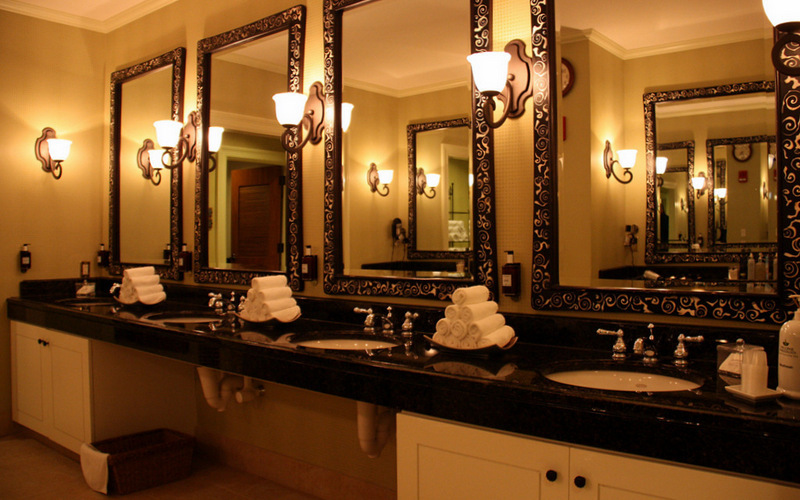 The elegant ambiance of the resort lives up to its reputation and was immediately evident. 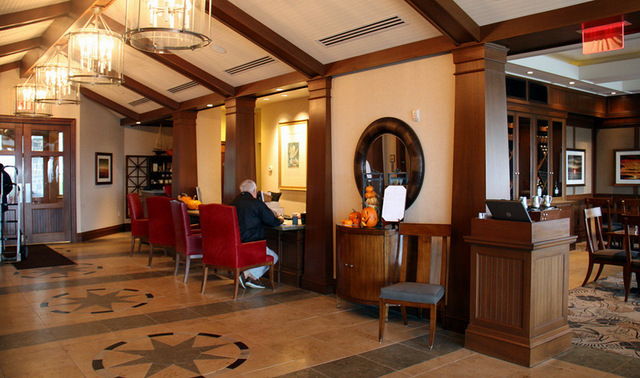 The reception area is part of the larger lobby, and the eyes are drawn every which way to accommodate the combined spectacle of luxury and scenic beauty. The check-in was effortless, and the staff exhibited the training and courtesy that is the hallmark of the St. Regis brand. John Jacob Astor IV, opened the first St. Regis Hotel in New York City in 1904. Forty-nine openings later, the brand has retained its well-deserved image of sophistication and the reputation for successfully catering to the old (and new) aristocracy and its many fascinating personalities. 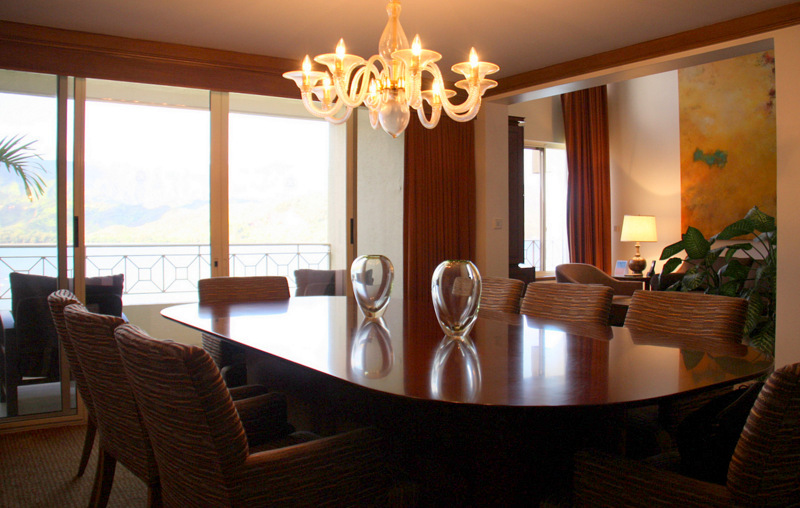 Each suite at the St. Regis has a butler to cater to the guests’ every wish. During our stay, our butler proved to be an invaluable resource about navigating around the resort and the island of Kaua‛i in general. 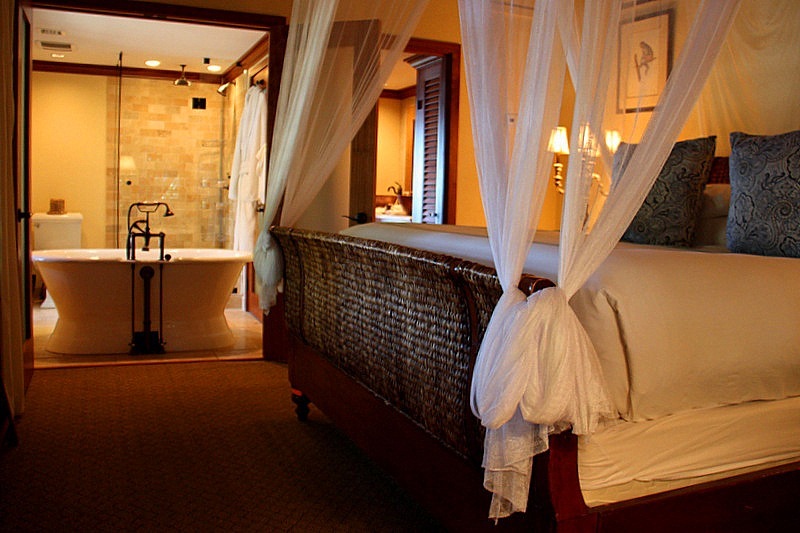 Our Bali Hai suite at the St. Regis Princeville consisted of two levels. The main floor was the location of the living room, kitchen, dining/meeting room, half bath, and balcony. 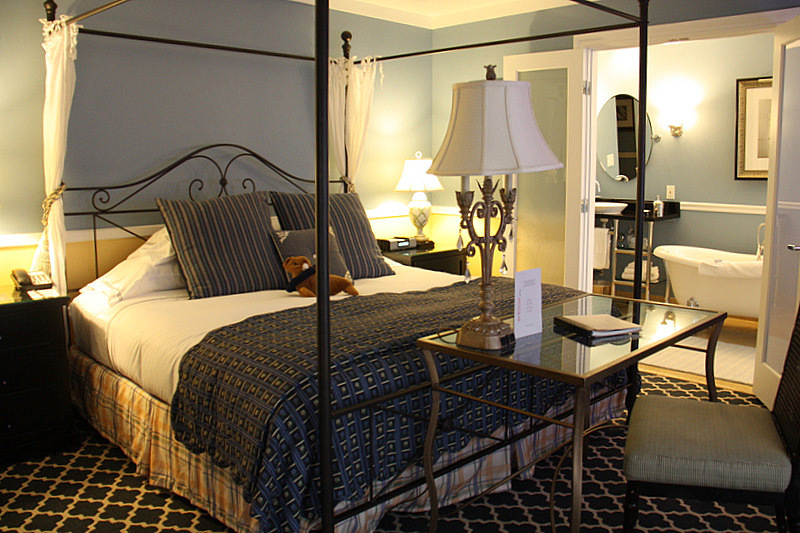 A generous sleeping room and spacious full bath were located on the second floor. From our balcony we had an opportunity to watch the St. Regis staff prepare for a beachfront wedding. Planned nuptials can be attended by five or 500; the St. Regis has the facility to make the event as perfect as a couple can imagine. 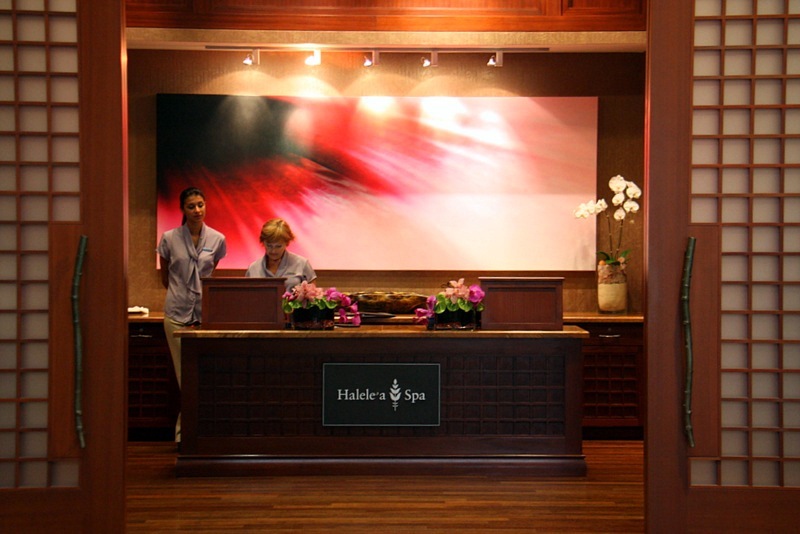 After settling in, we started our decompression in style with a massage at the luxurious Halele‘a (which means House of Joy) Spa located just off the main lobby of the resort. 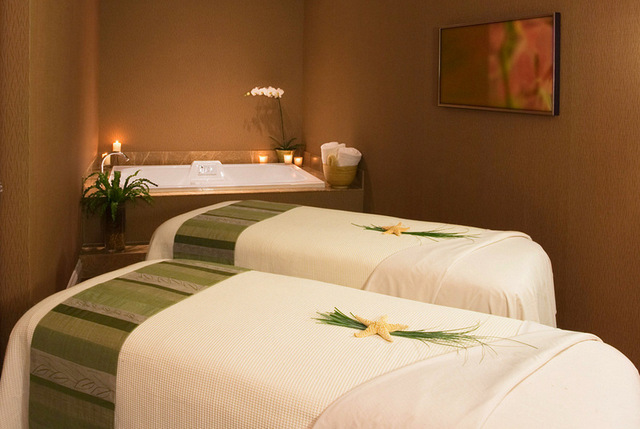 This is much more than your standard resort spa. 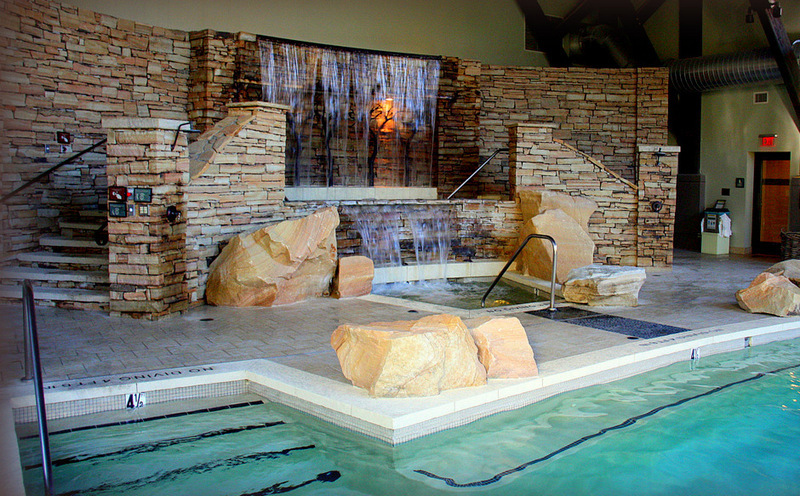 It is an 11,000 square foot facility with 12 treatment rooms, and a trained staff dedicated to your relaxation, healing, and ultimate body and mind restoration. We chose and recommend the stress relieving Lomi Lomi Massage that involves a deep muscle therapy, accompanied by continuous gentle strokes – a technique we have learned to associate with Hawaiian therapists. Oh, so soothing. 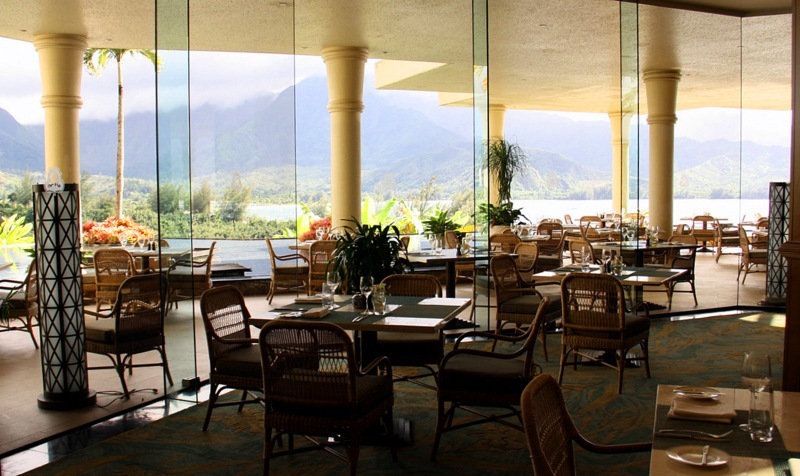 Although we found the on-site Kaua‛i Grill dining room decor to be somewhat understated for a five-star restaurant, the view of Hanalei Bay and Bali Hai at sunset more than made up for any lack in interior motif. The exciting bill of fare at the Kaua‛i Grill is the brainchild of Chef Jean-Georges Vongerichten, a globally recognized Michelin cordon bleu chef. 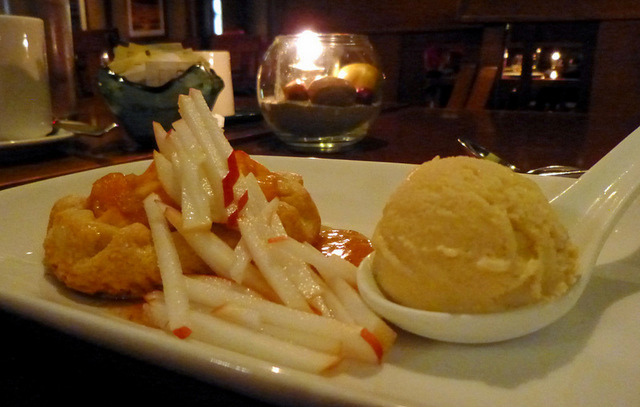 The menu boasts the master’s flair for the French and Asian influence in personally selected appetizers, entrees, and desserts. 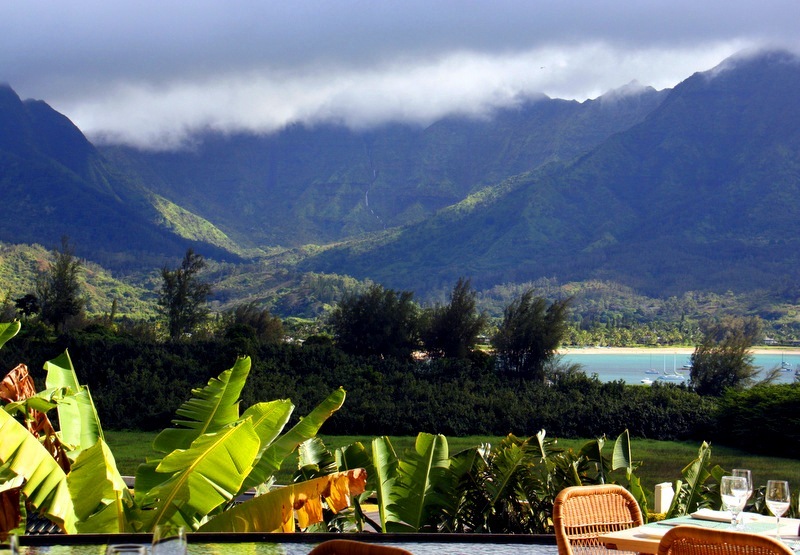 We had breakfast on the Makana Terrace overlooking Hanalei Bay. This is an oasis of tranquility that beckons one to sit back and enjoy the acclaimed scenery while savoring the culinary delights of the local fresh food markets. 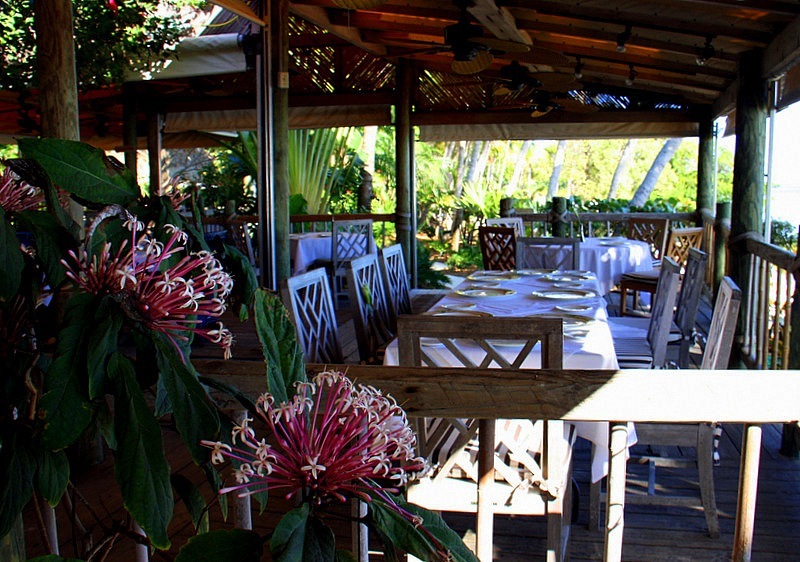 The restaurant so fits its place that it must have been inspired by Kaua‛i itself. 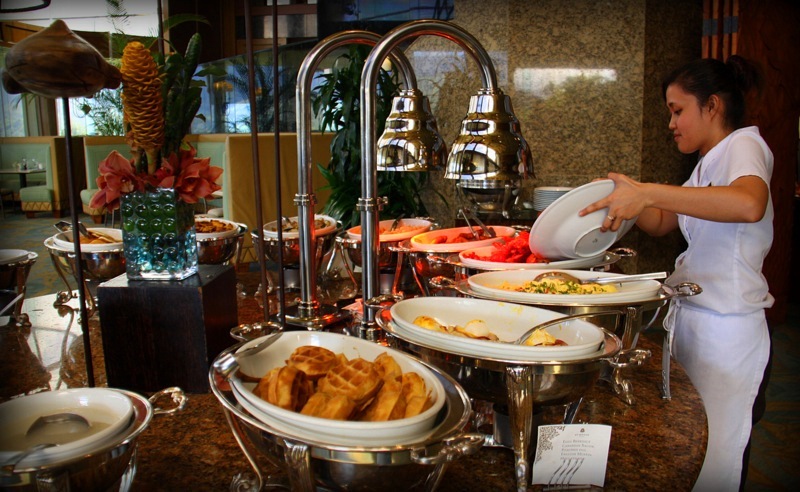 If you stay at the St. Regis, don’t miss the day-opening buffet on the Terrace. Here we were offered light casual pub style victuals in a convivial comfy environment. Also, a great place to gather for a cleansing ale before dinner. 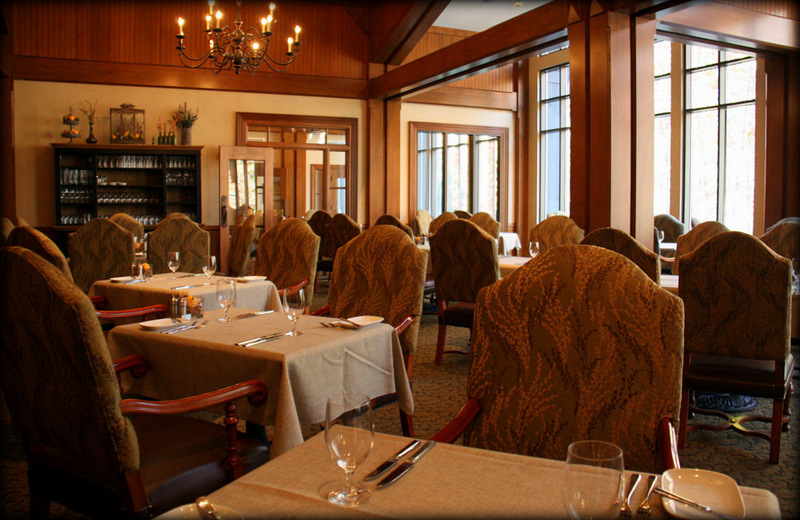 There are five excellent dining venues at the resort – all with fantastic views. 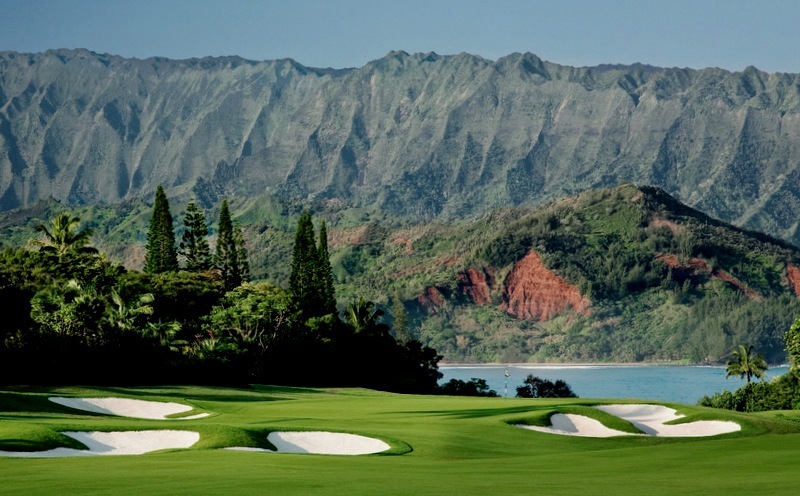 The St. Regis Princeville Resort’s Makai Golf Club is designed by globally-celebrated golf course architect Robert Trent Jones, Jr. and is an 18-hole championship course complete with lakes, woodlands, and a spectacular view of Bali Hai and Hanalei Bay. 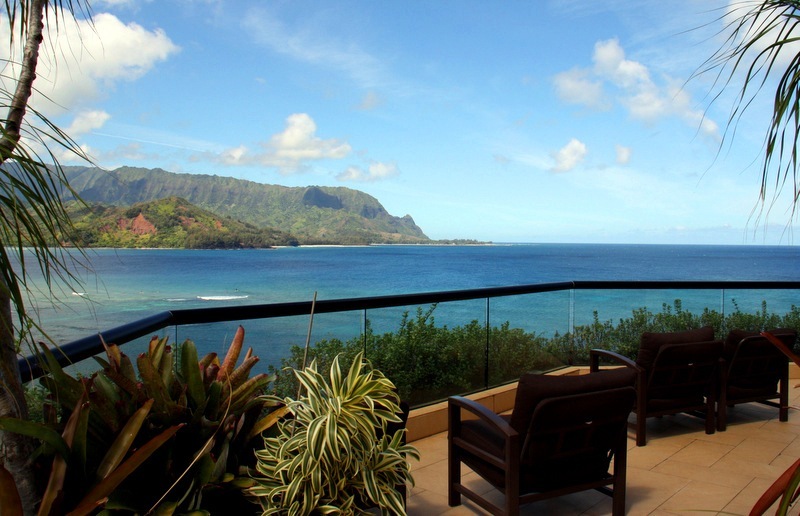 The St. Regis Princeville is a luxurious resort with significant cachet and 252 guest rooms, including 51 premium ocean view suites. Look to the St. Regis website at www.stregisprinceville.com to choose from a range of diverse guestrooms to suit your taste and budget. 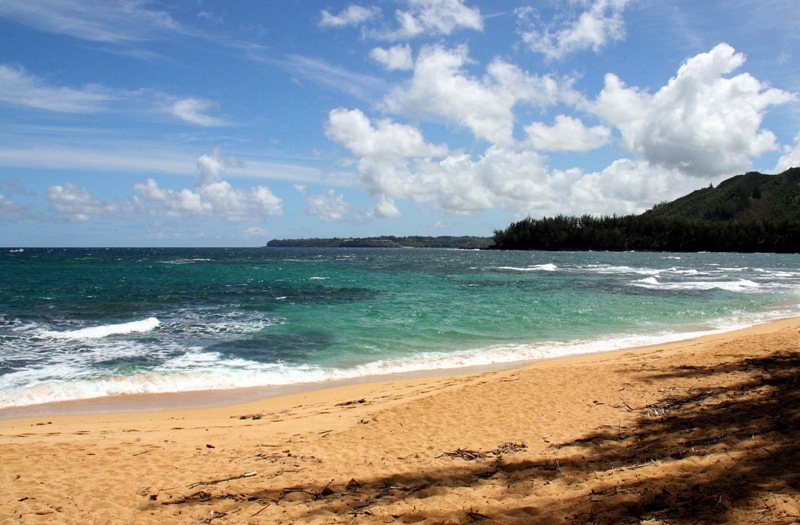 You will probably fly into Lihu‛e Airport on the east shore of Kaua‛i. 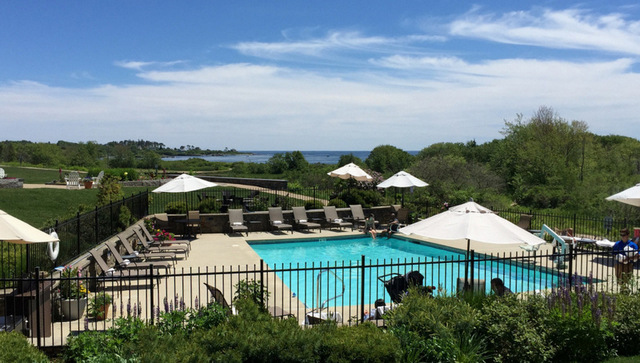 If you do, expect a 32-mile drive to the picturesque north shore, and the resort. There are all varieties of available transportation at the airport. A standard taxi will cost just over $100 with tip – and it’s up from there. 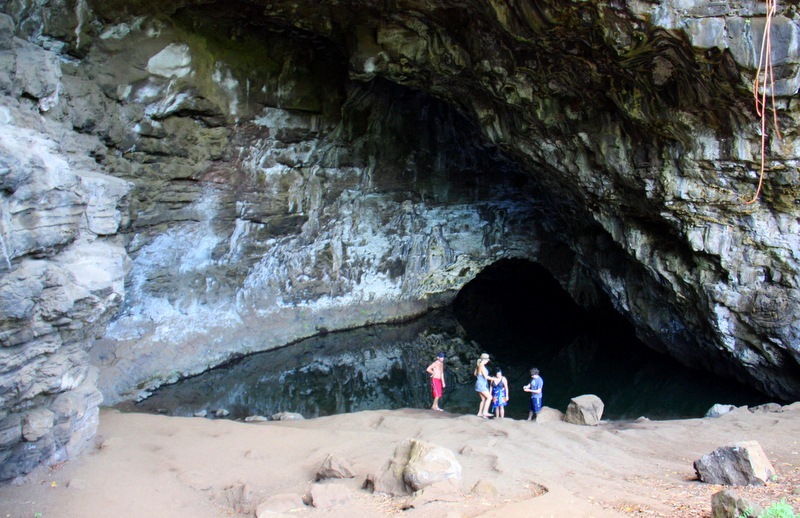 We reserved a rental car, and were glad we did because there is so much to see on Kaua‛i. In future articles we will write about the many things to do outside the St. Regis demesne. 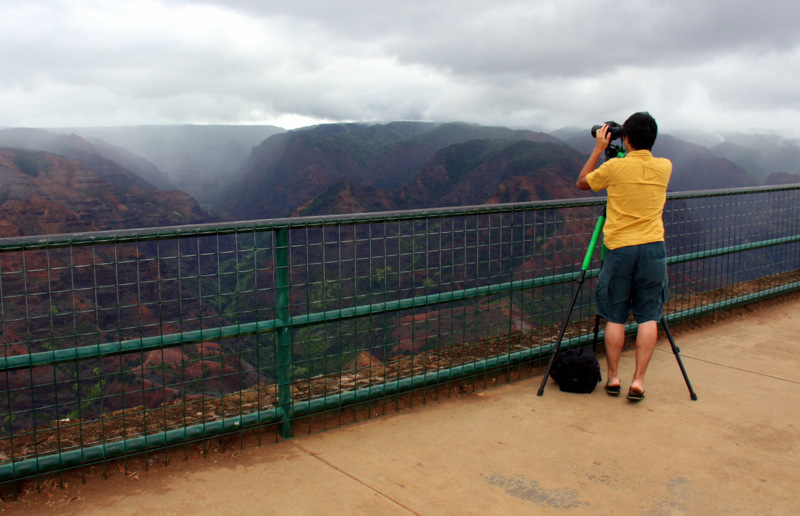 and the famous Waimea Canyon to photograph. We will also take you along on a fabulously romantic dinner for two under the stars in the Papa‛i Kilauea Hut at the Westin Princeville Ocean Resort Villas. 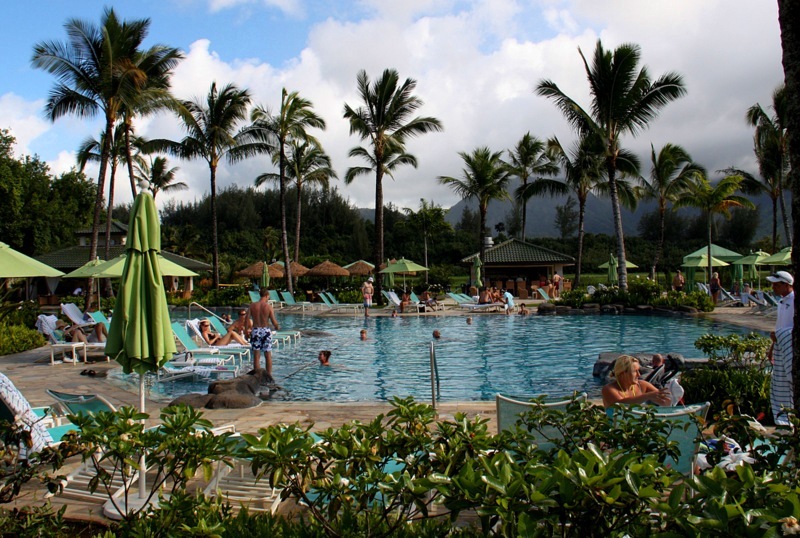 If you are researching luxury hotels and resorts for a planned holiday in the Hawaiian Islands, you might also like to read our stories and evaluations of these other Starwood properties in Hawaii. Click on any title to read the story. We flew to Honolulu and inter-island on Hawaiian Airlines. 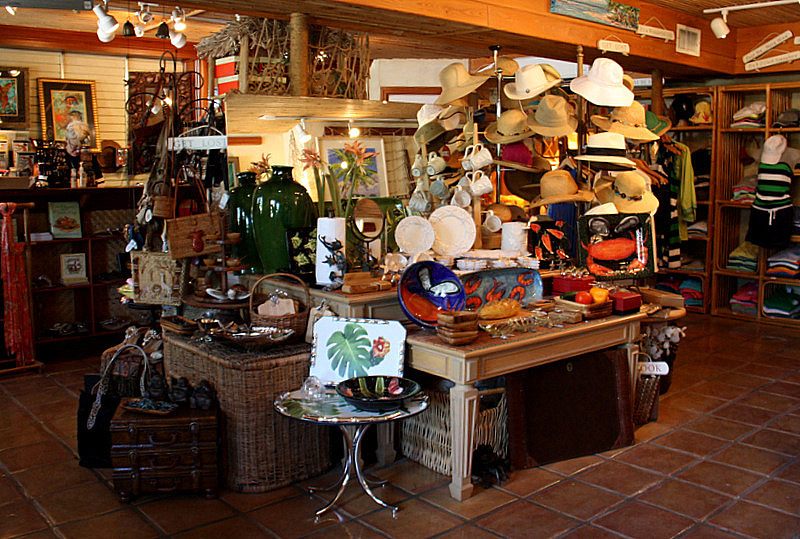 There are towns that are great for living, and there are towns that are great for vacations. We discovered one of those rare places that is great for both. 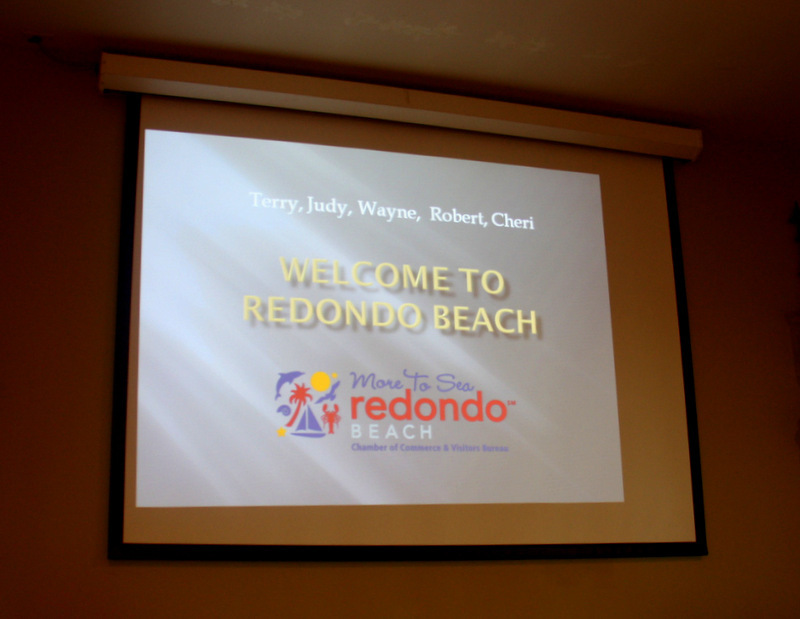 Redondo Beach, is on the sunny southern California coast just seven miles south of the Los Angeles International Airport. It is a “happy-happening-hideaway” by the sea. 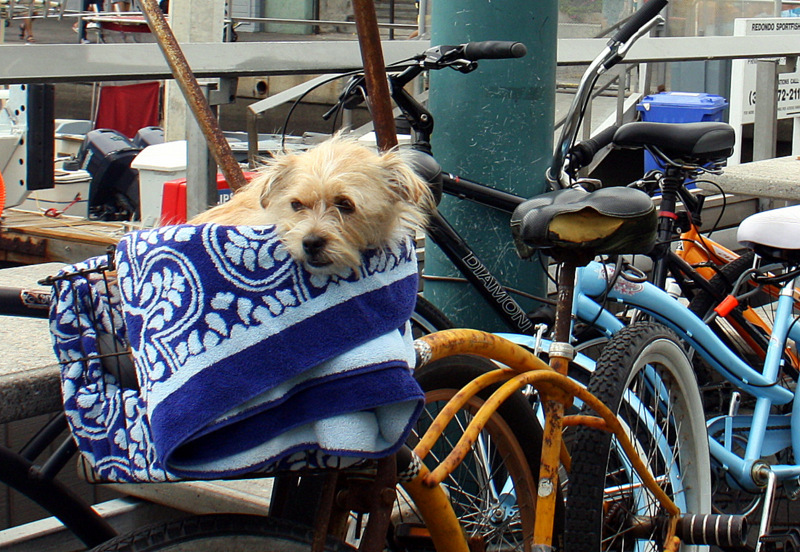 When it’s hot downtown and inland, LA folks head for the beach towns, which are frequently 10 to 15 degrees cooler. There’s a series of three beach towns north of the beautiful Palos Verdes Peninsula that are great places to enjoy the sea and sand. 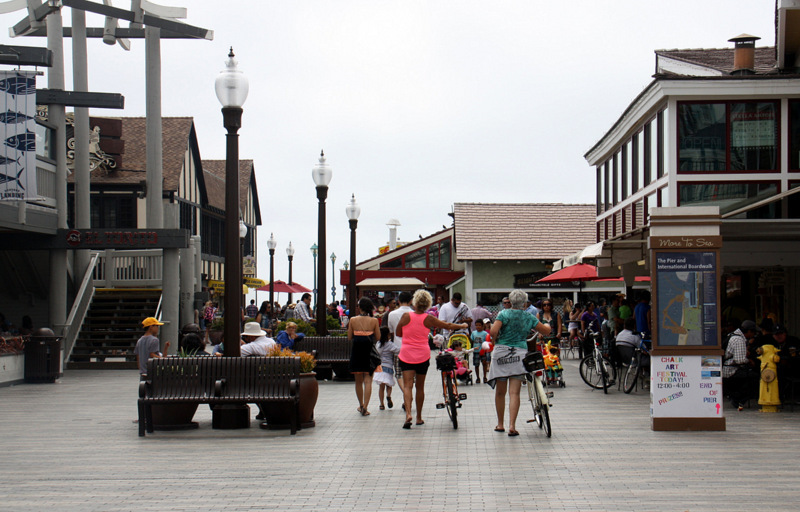 Making it even better, there’s a paved beach walk called the “Strand” that connects tony Manhattan Beach and Hermosa Beach with our personal favorite, historic Redondo Beach. 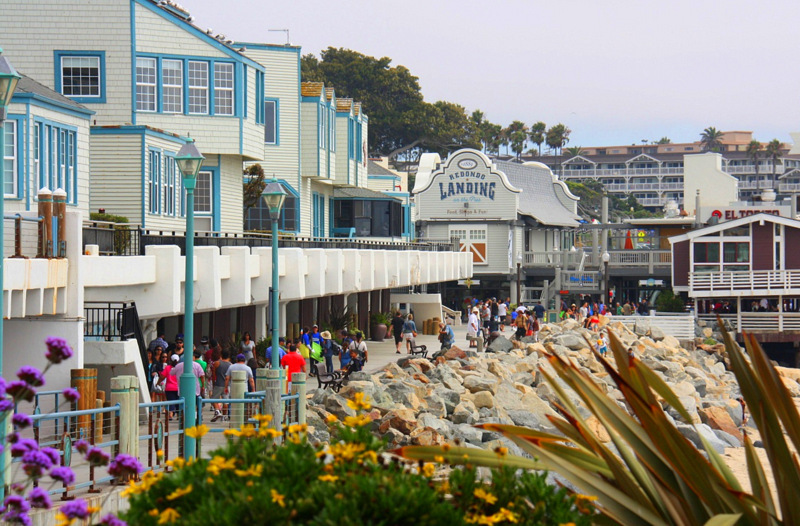 We always prefer waterfront hotels, and the boutique Portofino Hotel and Marina in Redondo Beach is one of our favorites. 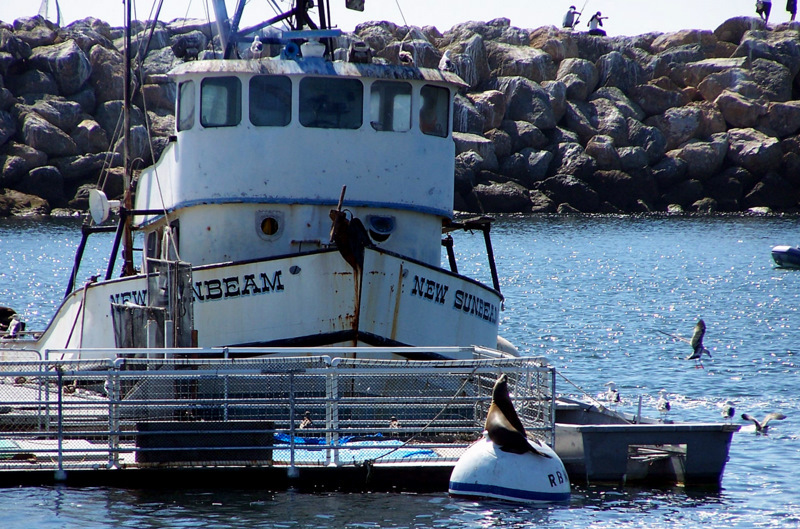 It is close to King Harbor and the Redondo Beach Pier, both excellent places for a fun date, or family outing. 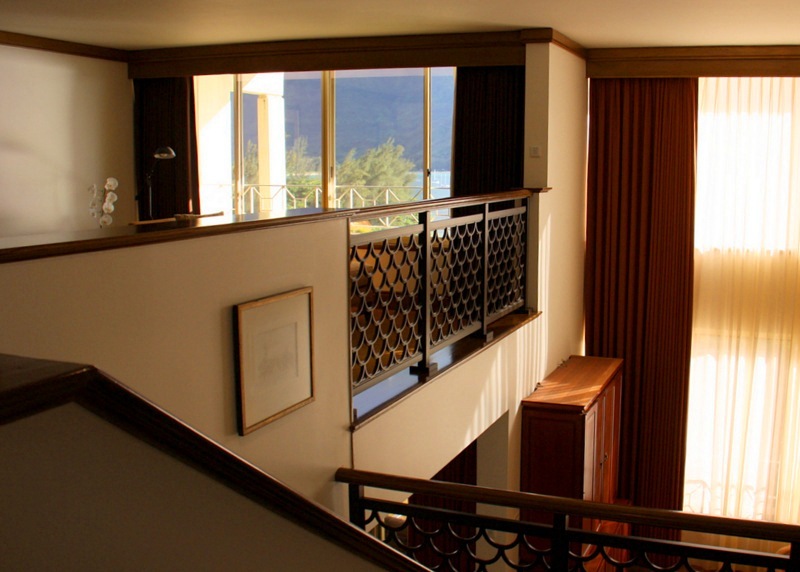 Our suite at the Portofino had elegant seashore décor, and it overlooked the breakwater and open Pacific beyond. It was perfect. We left our windows open and enjoyed waking to the sound of harbor seals, sea lions, and the call of seagulls. 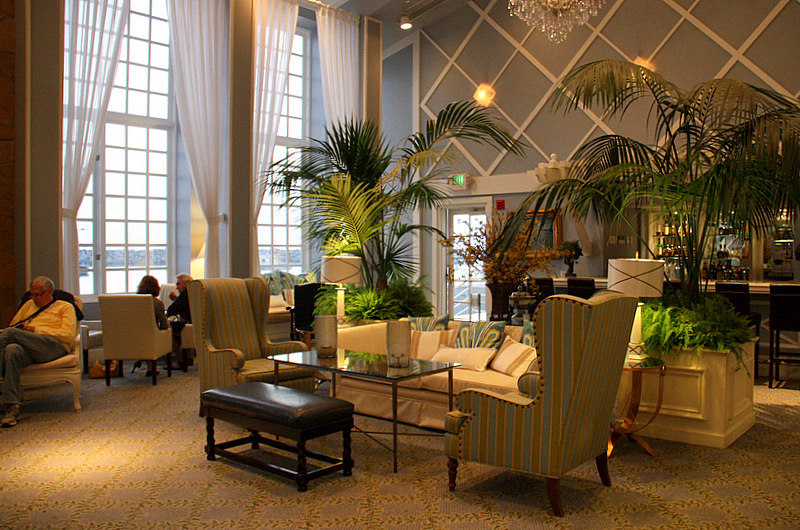 If you relish that kind of ambiance, this is the place for you. 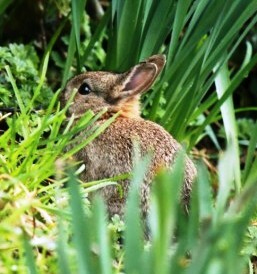 Rather not hear the local wildlife? 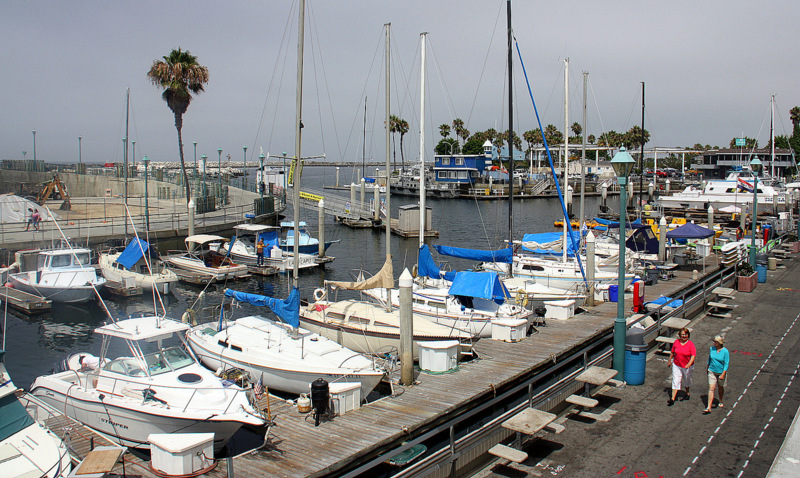 Ask for a room overlooking the marina where it is quiet except for the occasional gentle tapping of halyards against sailboat masts. 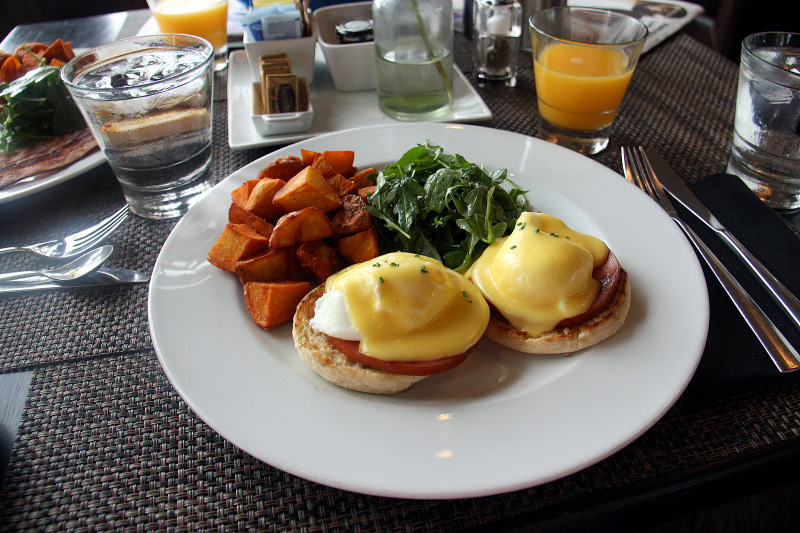 We had our first breakfast in Redondo at the outdoor patio at the Portofino’s BALEEN kitchen restaurant adjacent to the marina. What a splendid way to slowly wake to another day in this little slice of paradise. 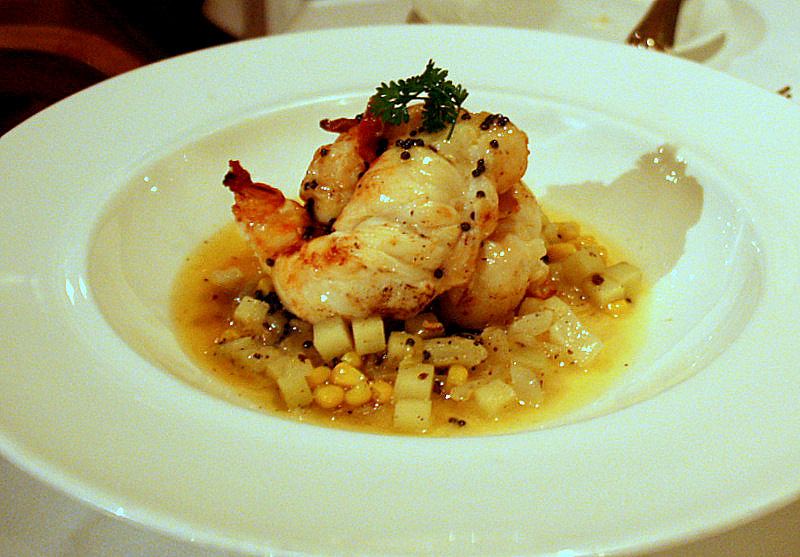 The BALEEN is also one of our favorite southern California dinner restaurants. 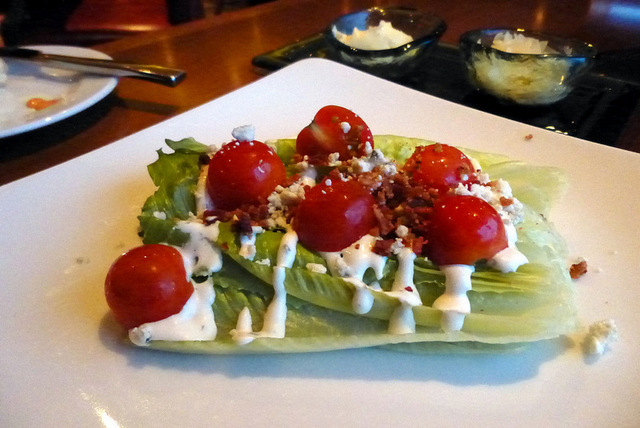 The menu is superb and the restaurant features some unusual and exciting dishes like a BLT Salad of sugar-braised bacon, jalapeno ranch and sherry/bacon vinaigrette dressings. Then there’s their famous Lobster Mac and Cheese (really). 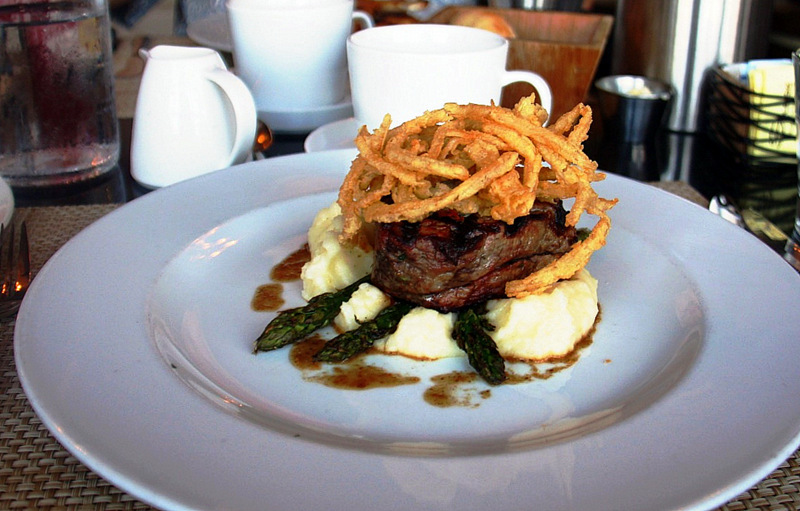 A great main for REAL meat and potatoes aficionados is the Roquefort Crusted Filet of Beef with whipped potatoes, grilled asparagus, crispy onions, and natural jus. 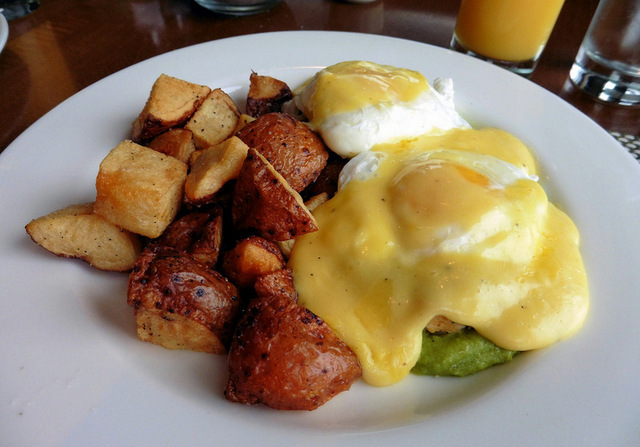 The taste factor on this entrée is off the wow chart! 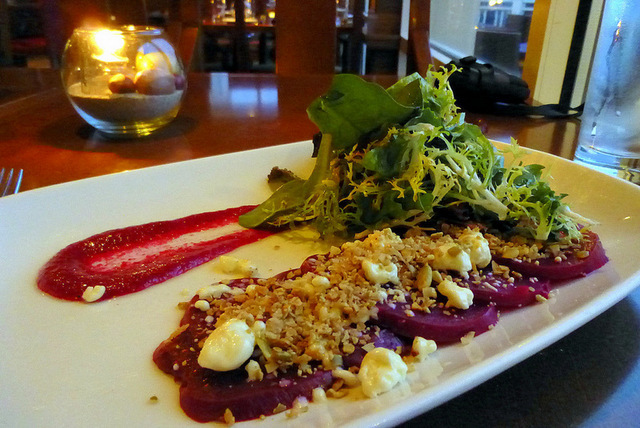 We have eaten at the BALEEN on several occasions and have yet to be disappointed. 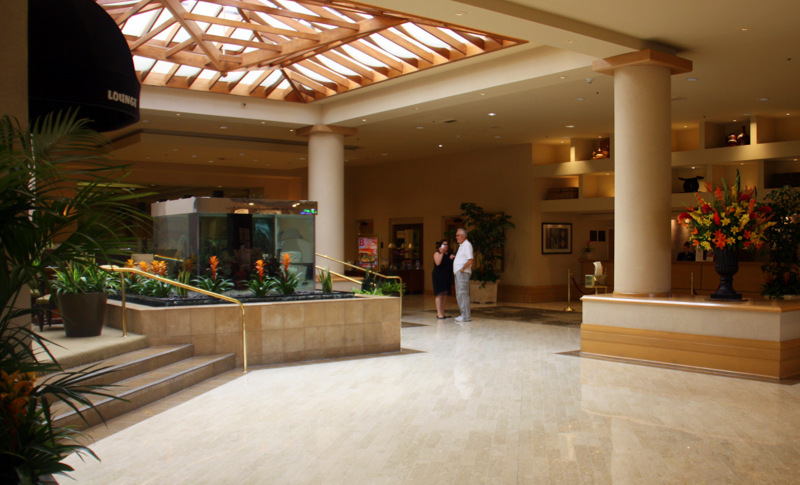 The Crowne Plaza Redondo Beach and Marina is a modern hotel that is a stone’s throw from the Portofino. It is also just across North Harbor Drive from the city’s popular Seaside Lagoon Park, a fabulous place for the kids to play safely in the sand and the gigantic salt-water pool. At the time of our visit, the parents looked to be having at least as much fun as the kiddies. 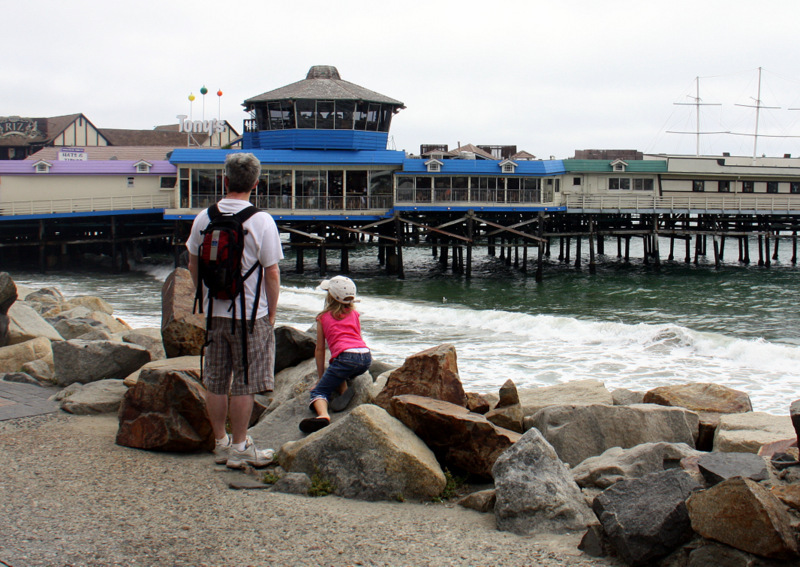 The Plaza is also near Captain Kid’s Seafood Restaurant and Market – a rustic landmark eatery that serves up a dynamite chowder, and sells the freshest ocean bounty in their market. 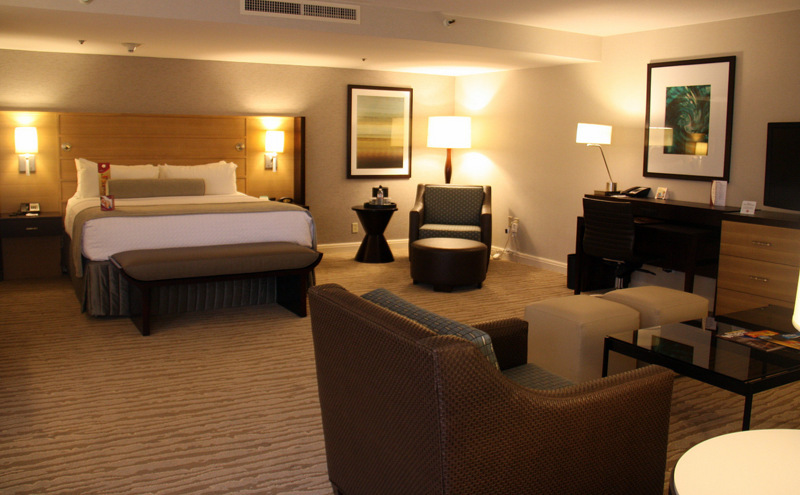 The rooms at the Redondo Crowne Plaza are very spacious with a contemporary flair. 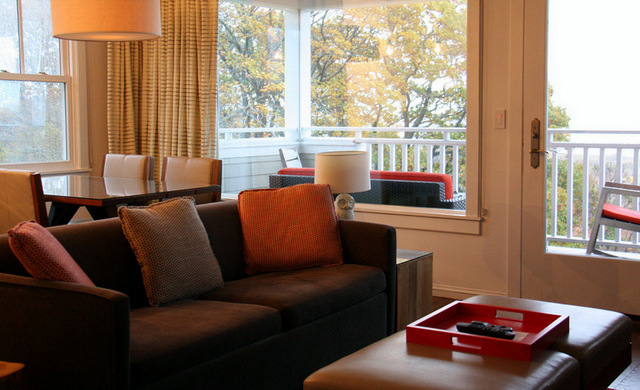 Most of the recently renovated 342 rooms and suites have private balconies with water views. 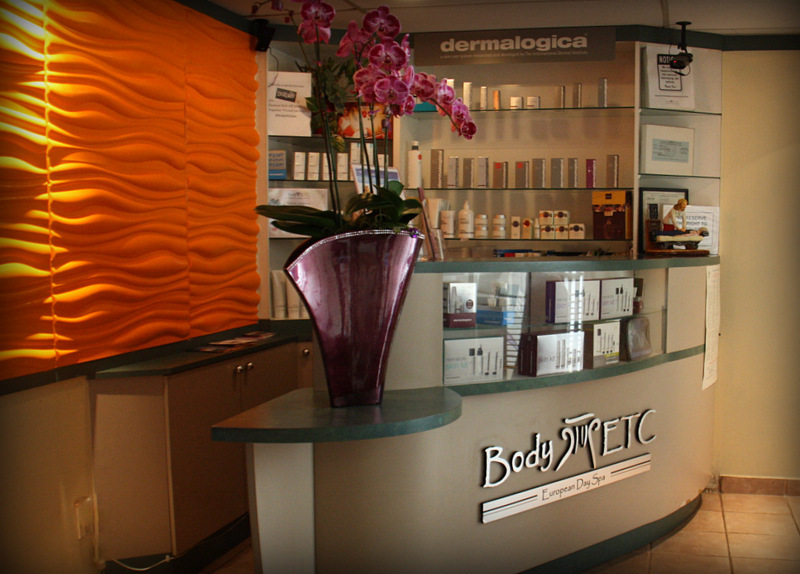 We tried a 75-minute Swedish massage at the hotel’s Body ETC European Day Spa. Marvelous, and a great way to loosen up for an evening of “clubbing” or dinner at one of the more than 15 local restaurants within walking distance. 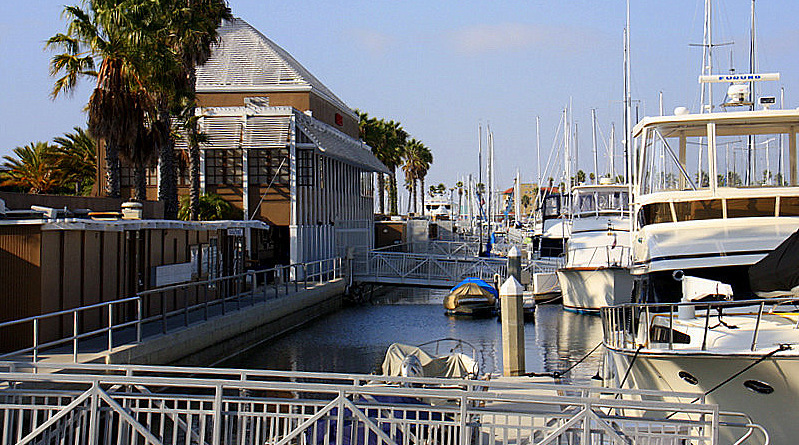 Redondo Beach offers a total of 200 restaurants and entertainment locations. 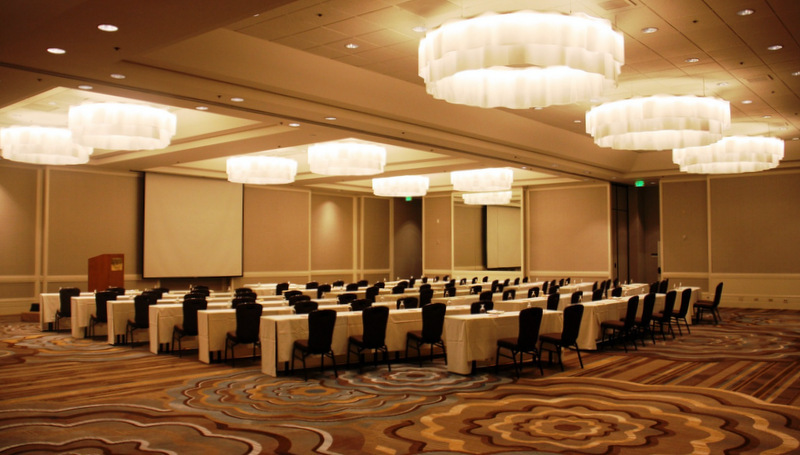 If you are an event planner, Redondo Beach, and the Crowne Plaza hotel in particular, is the perfect meeting venue. We toured 25,000 sq. ft. of newly designed meeting space at the Plaza that includes three ballrooms, and 12 break-out rooms. There’s also a spectacular outdoor terrace with a swimming pool and a tennis court that overlooks the Pacific Ocean – a brilliant place for a large social or business event. We were invited to a media luncheon at the H.T. Grill on Catalina Avenue to meet some local business owners who are justly excited about what Redondo Beach has to offer tourists. The Chamber of Commerce did an excellent job of providing us with plenty of subjects that would be of interest to people planning vacations. The H.T. 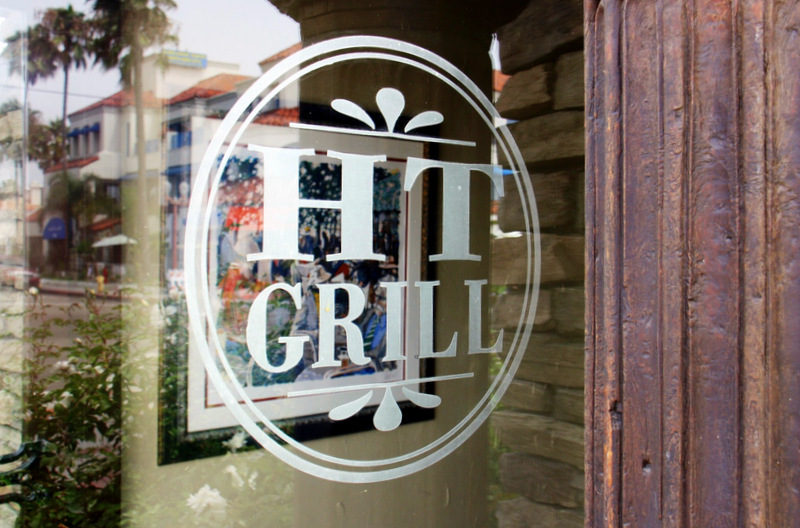 Grill proved to be a great place for lunch and we can recommend it. 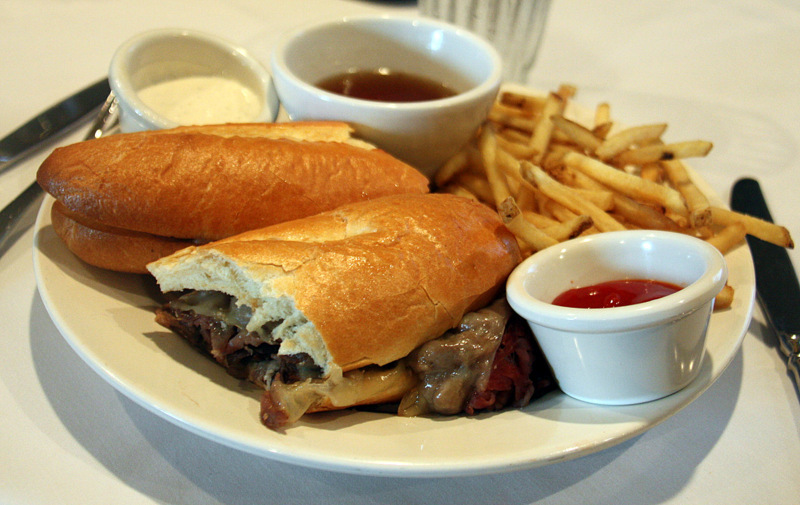 Try the Prime Dip of shaved prime rib with a side of horseradish cream and French fries, served on a Milano roll with au jus. Delicious. 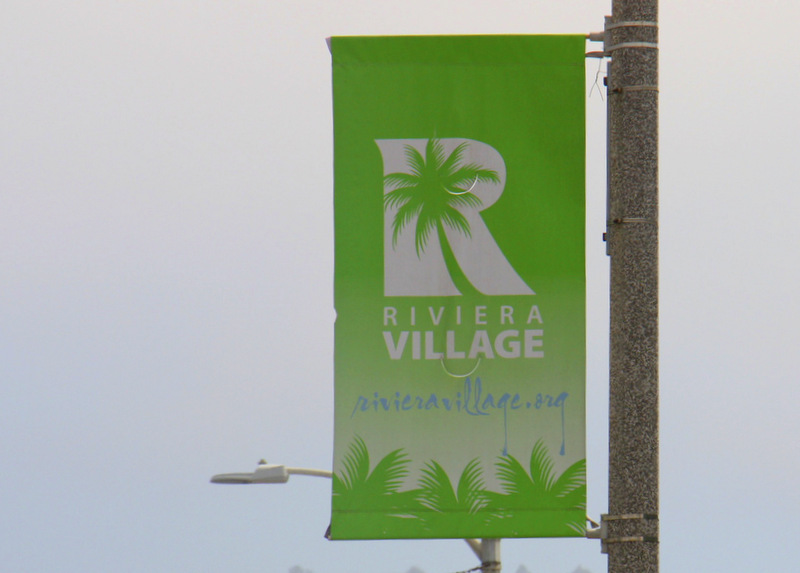 The Grill is located in an area of Redondo known as Riviera Village. During the Golden Age of Hollywood, it was called “Hollywood Riviera” because of the stars who visited the village’s many quaint boutique shops and great restaurants. 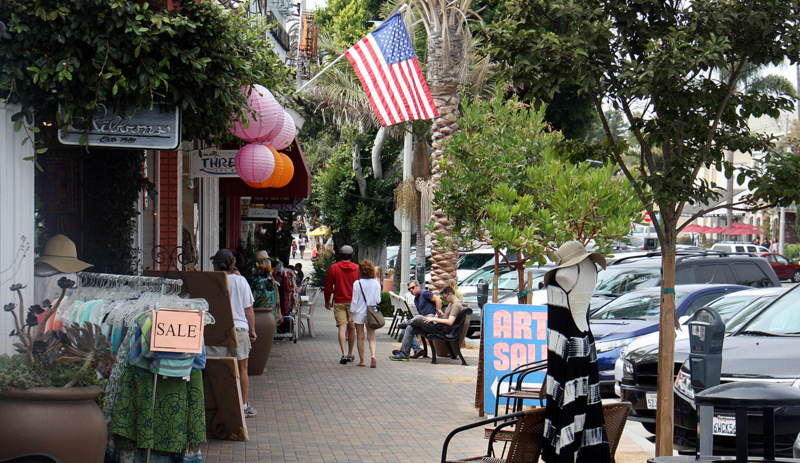 The village is easy-going, charming, and a fine place to walk and shop. Just outside the Grill they were setting up the Riviera Village Farmers Market – what a treat. 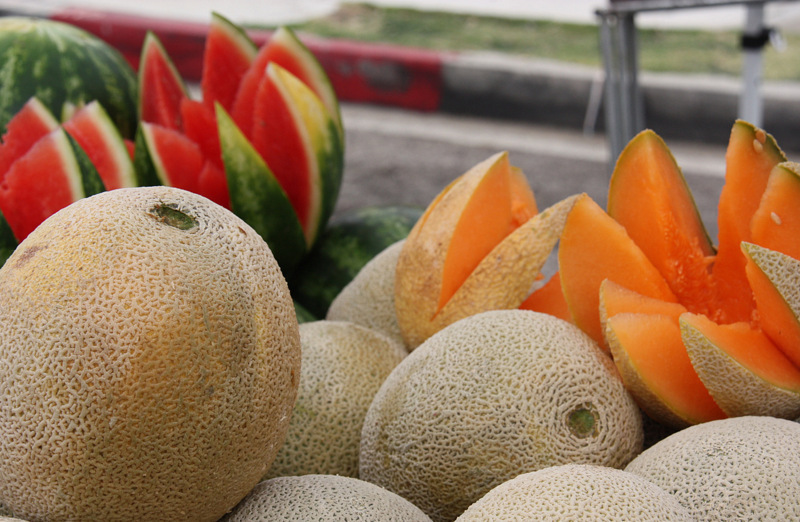 A great place to browse delectable fresh fruits and veggies, along with local artisan crafts, and finger treats – too soon after lunch, we wish we were at least a little hungry! 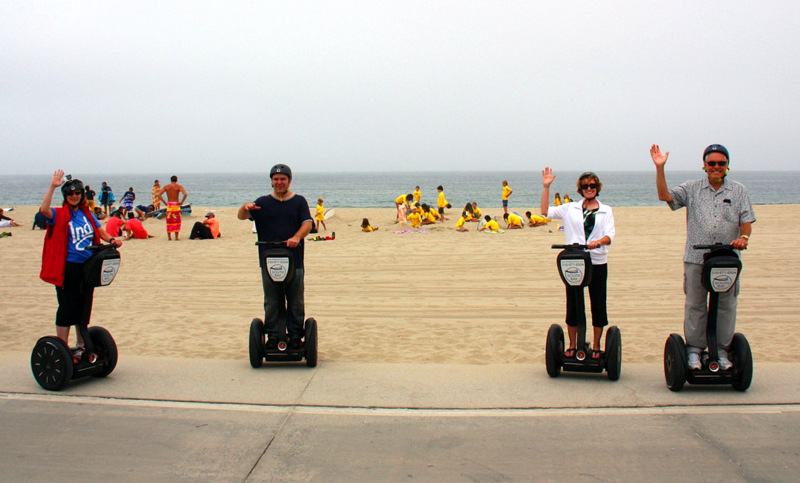 Having had previous experience on Segways in Pacifica, California, and Reno, Nevada, we were happy to find South Bay Mobile Tours just around the corner from the Farmer’s Market. A few minutes of refresher lessons and we were off to see the Strand and oceanfront. 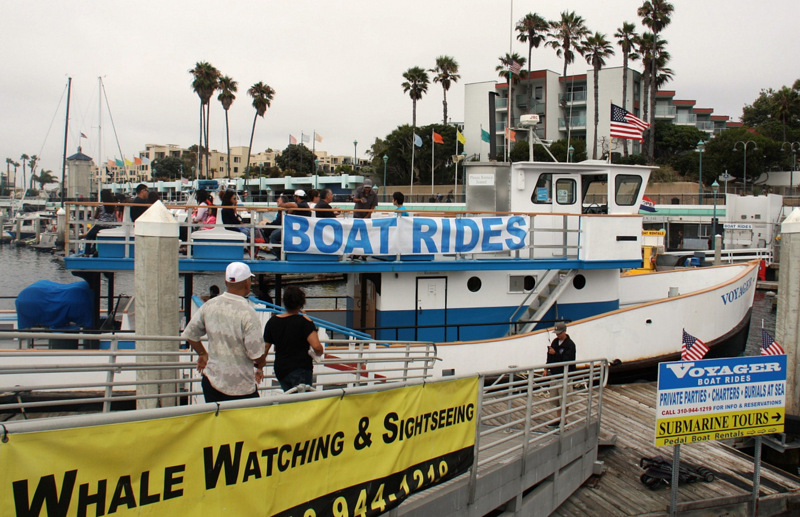 This is a quick and easy way to view five or six miles of Redondo Beach attractions. 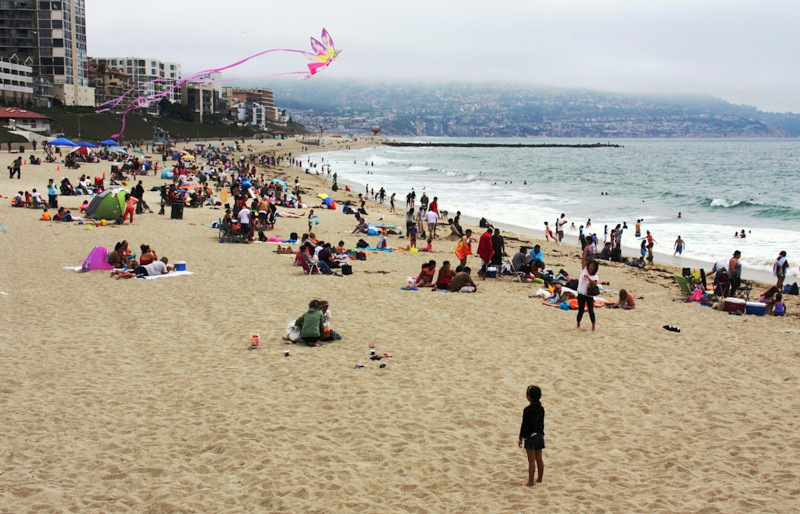 With King Harbor on one side, and miles of beach on the other, the Redondo Beach Pier is the natural epicenter of fun beach activity such as the annual Kite Festival, Sunset Concerts, Classic Car Show, and Winter Holiday Concerts. 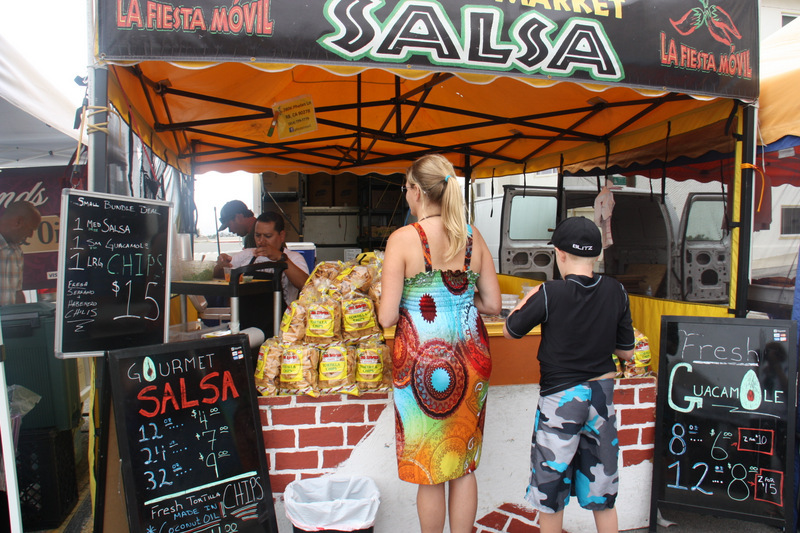 There’s always a wide variety of dining, amusement, and entertainment opportunities. 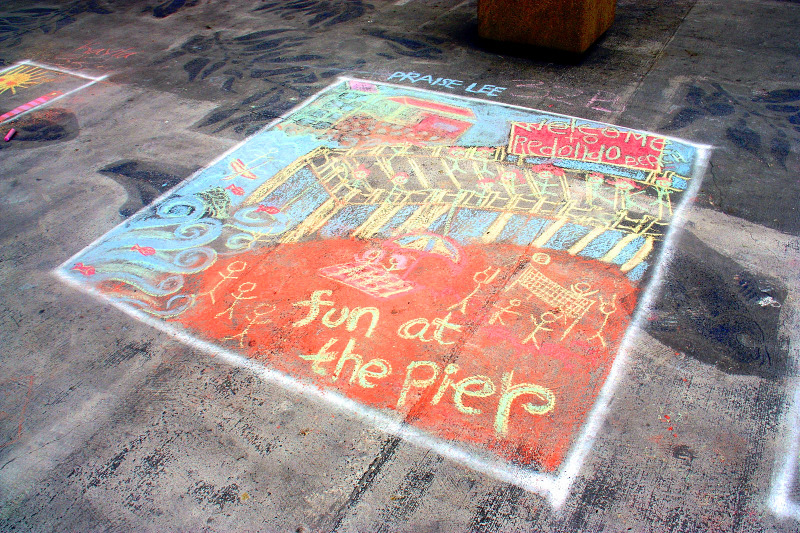 We were in town just in time to catch the Pier’s annual Chalk Art Festival. Who would have thought that a chalk festival could be so much fun! 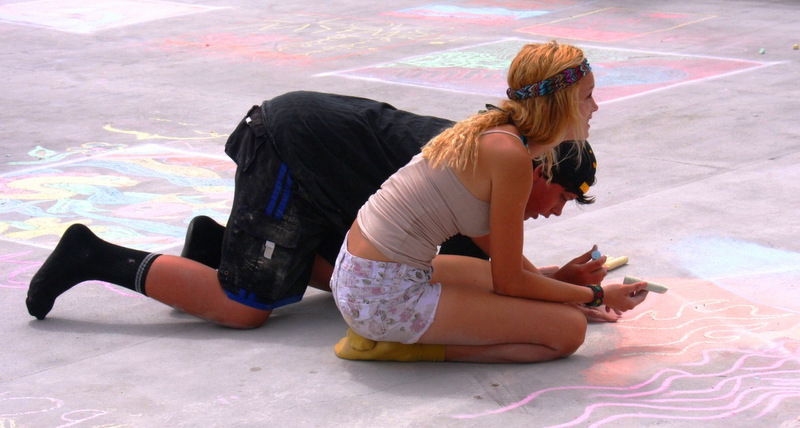 Folks of all ages sprawled on their hands and knees showing their talents in clever chalk art drawings with dreams of becoming one of this year’s category winners. 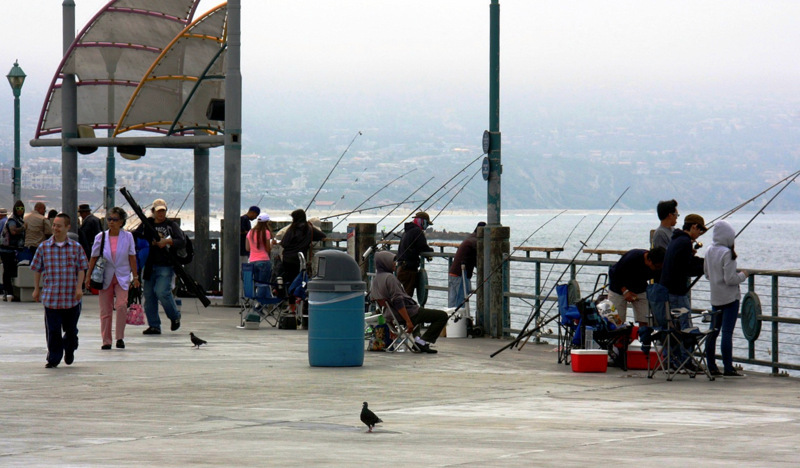 Meanwhile, just behind the artists, the fishing on the pier was proving to be excellent on the slightly overcast day. It was time to eat again. 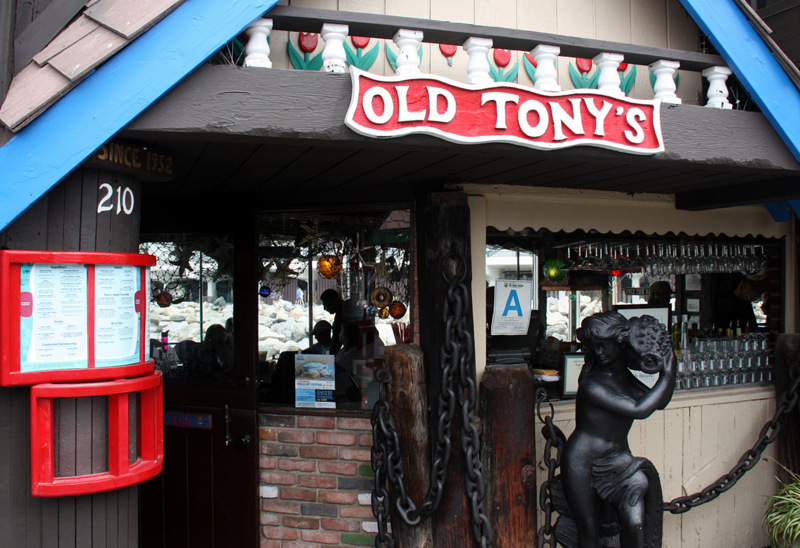 This time we were at Old Tony’s, the iconic pier restaurant that has been operated by the same family for generations. 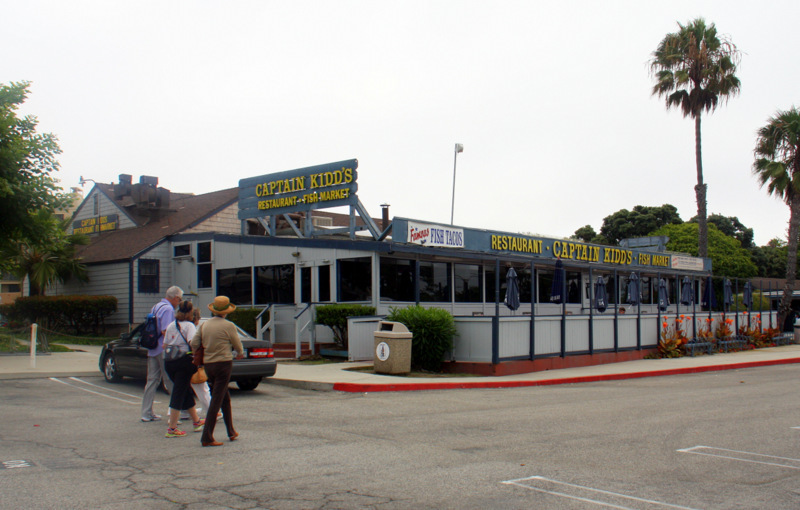 This is the premier historic eatery in Redondo Beach for lovers of fresh food from the sea. 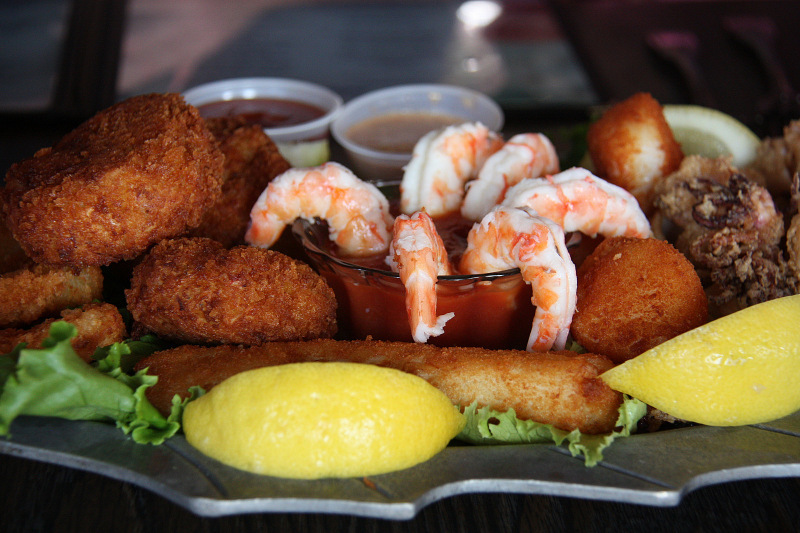 We filled up on a medley of delicacies from local waters – all delicious. Our following day was spent enjoying King Harbor, one of the largest small boat marinas on the west coast, and a favorite “Baywatch” filming location. First up was a nature cruise on the Voyager where we had great views of the South Coast shore while navigating through a large school of playful dolphins. Next we were on the Looking Glass for an opportunity to see the fishes beneath the waves. 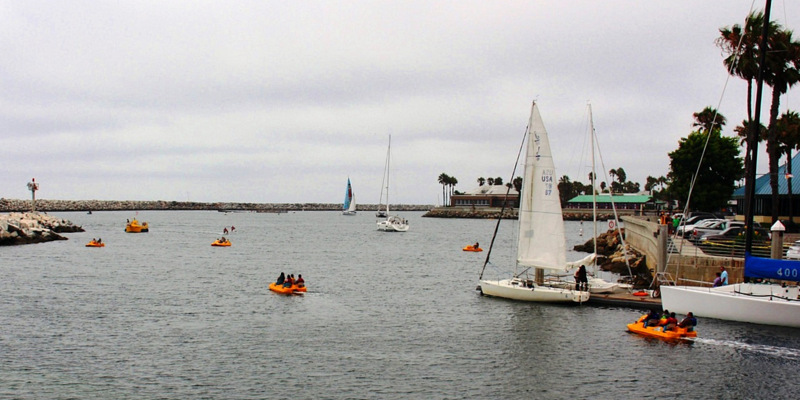 If we had the time, we would have enjoyed more boating opportunities in the harbor. Friends rented paddle boats and kayaks, and some signed up for sport fishing. Still others took sailing lessons. This place has it all! 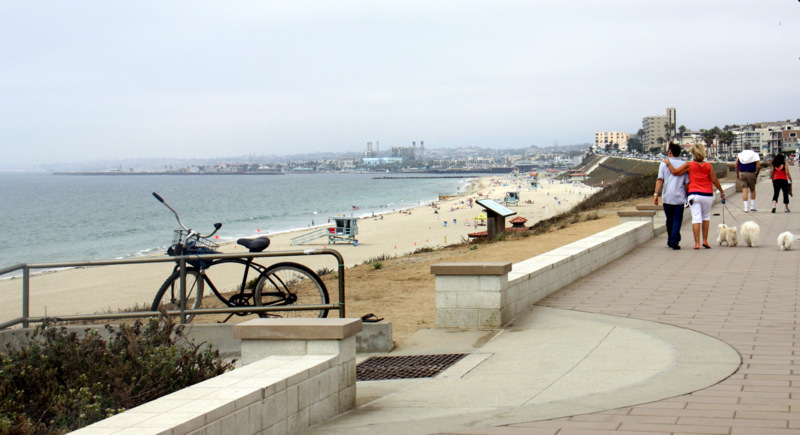 The actual beach at Redondo Beach is one of its greatest assets. 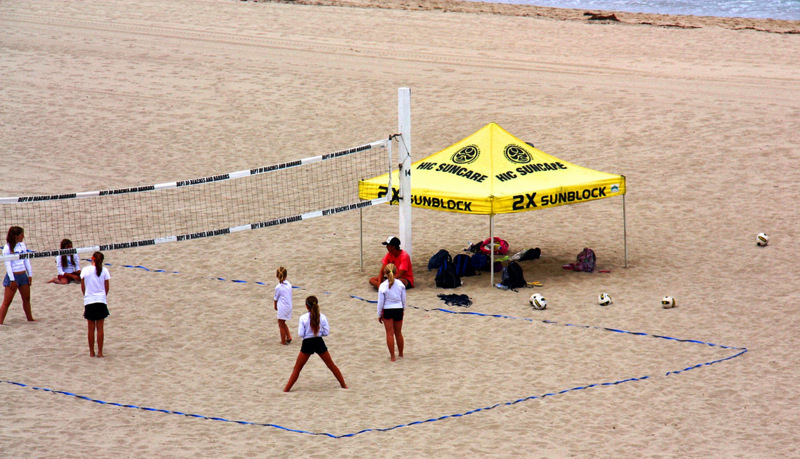 Miles of pristine sand for beach volleyball, and a warm sunny spot to relax after a plunge in the waves. 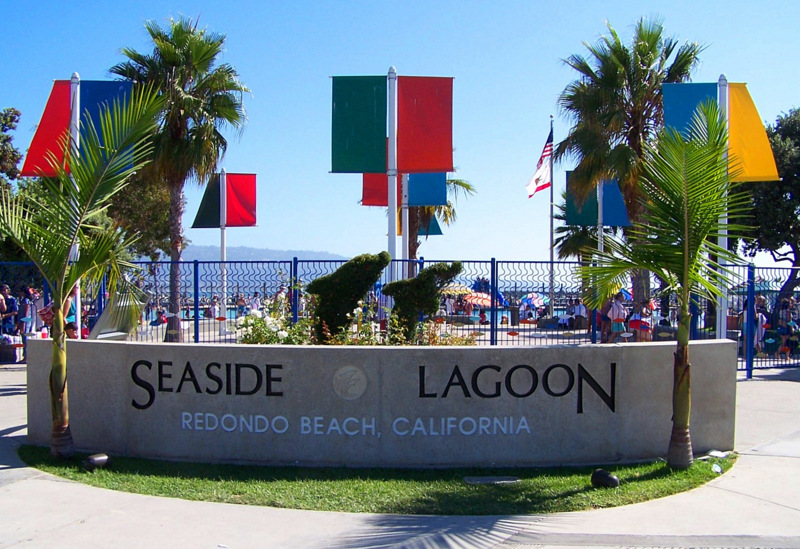 Did you know Redondo Beach was where Hawaiian George Freeth first introduced surfing to the mainland? 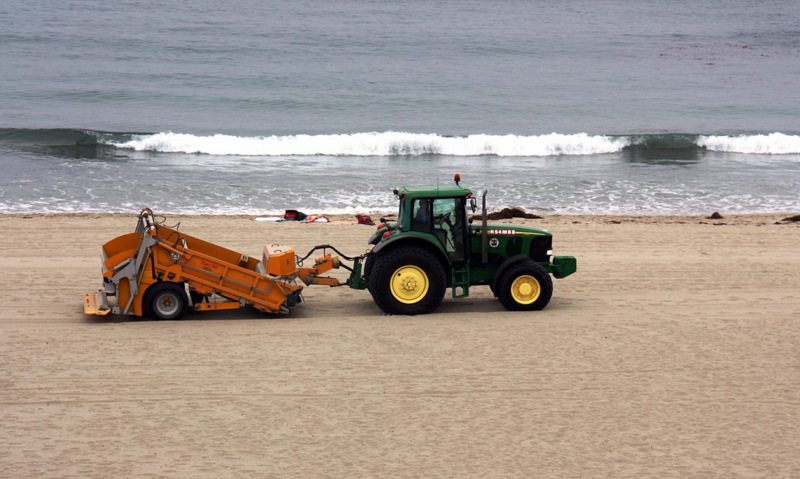 The city keeps the beaches spotless. When visitors are not sunning, the city is cleaning – and they do a superb job. 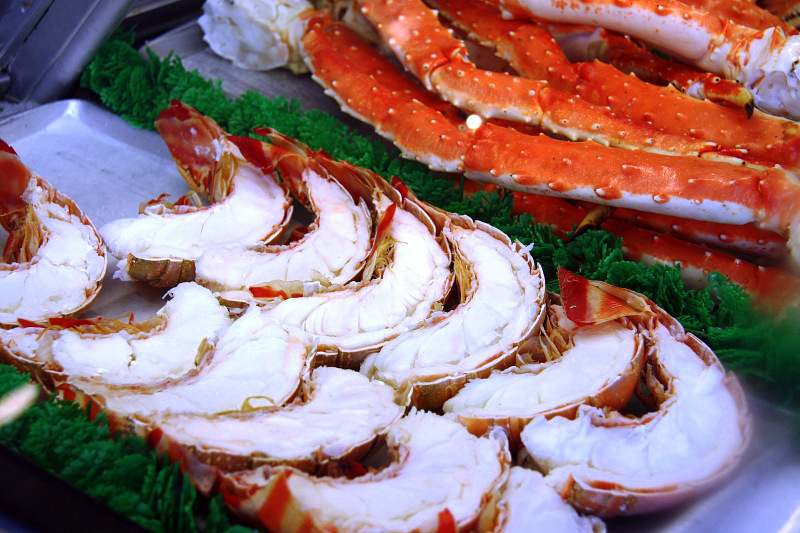 Whether it’s sport fishing, boating, getting ready for the Super Bowl Sunday 10K Run, or just relaxing in the sand as you wait for the annual Lobster Festival, Redondo Beach is a true tourist mecca. 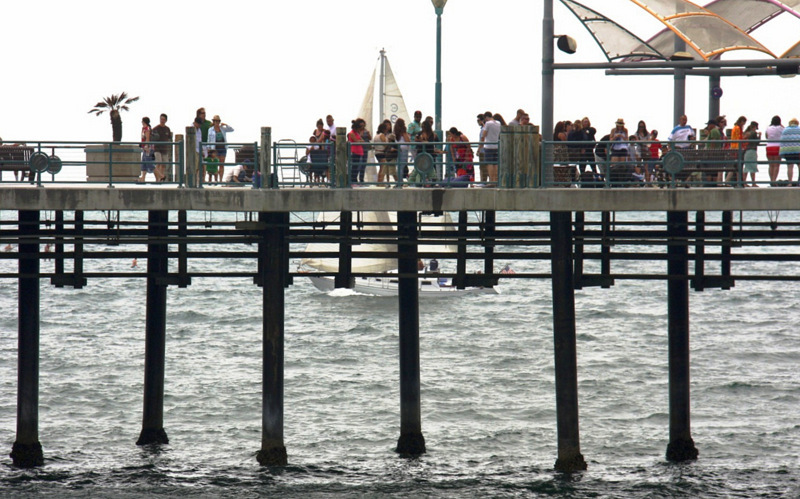 We love visiting Redondo Beach and its many attractions, and we think you will too! 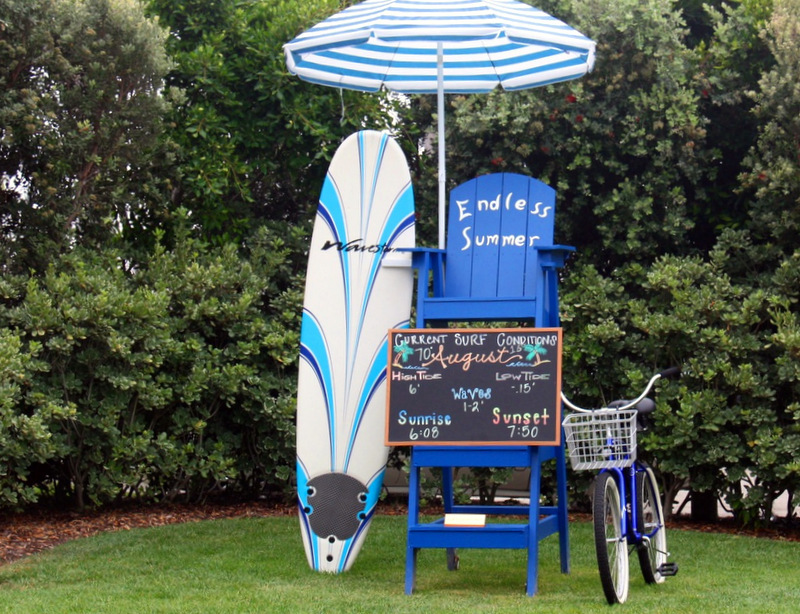 Plan a vacation that includes this wonderful beach community in southern California – you won’t be sorry. Tired of run-of-the-mill luxury vacation destinations? Looking for something extraordinary and exotic for that very special occasion? 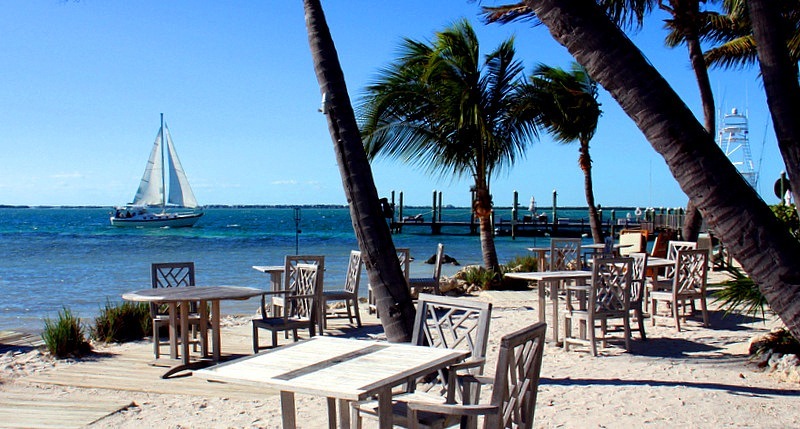 Driving through the Florida Keys, we discovered a world-class tropical resort that will have you talking about your getaway for years to come. Here’s the story of Little Palm Island. Driving south from Miami, it took us about 2-hours to cover the 120-miles to Little Torch Key and to reach mile marker 28.5 on scenic US1. There we found Pirates Road and the Little Palm Island Welcome Station (aka resort check-in and transport dock). 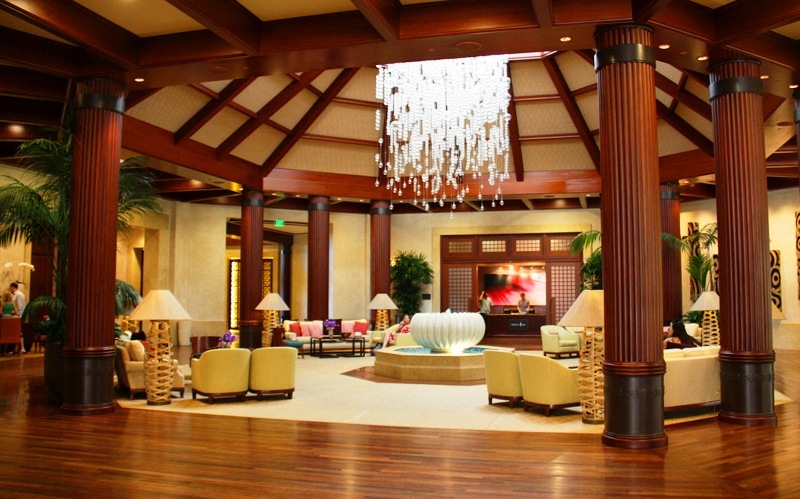 The vibe for this destination resort is South Seas Island elegant and the Welcome Station fits right in. 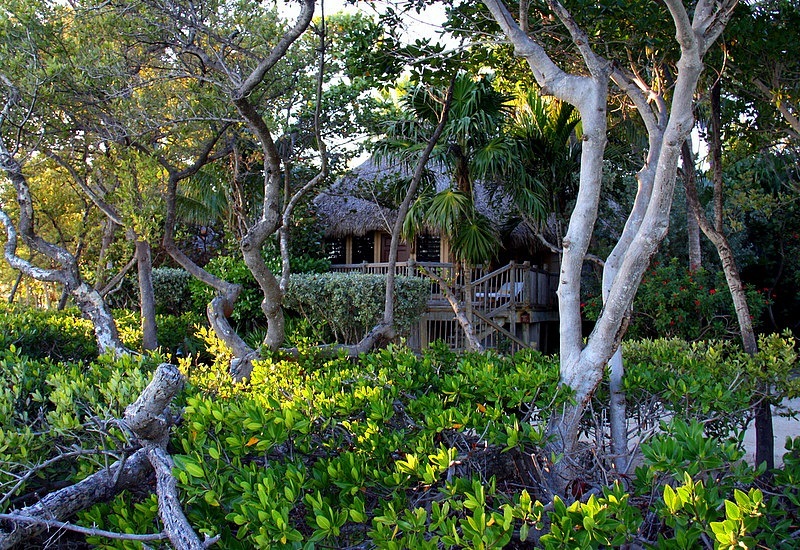 The Station building is a high-peaked thatched roof structure that is nestled against a lazy mangrove lagoon. 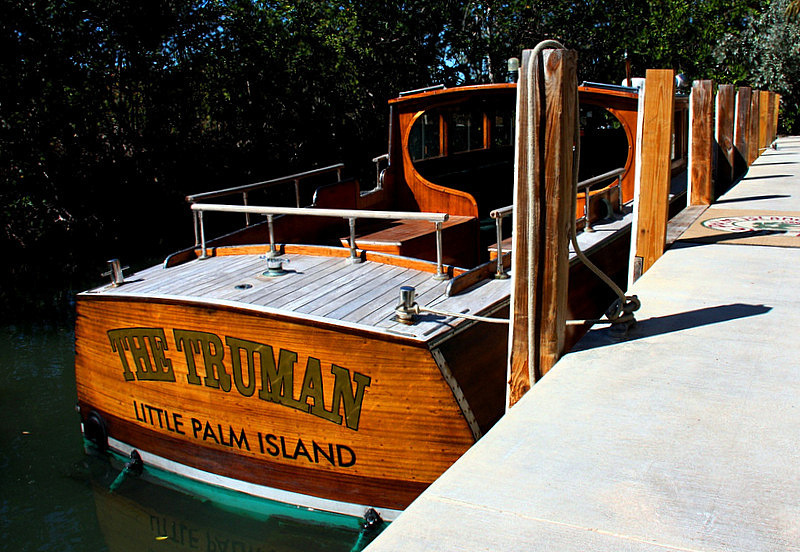 The lagoon is where passengers board the shuttle boat to the Little Palm Island Resort and Spa. As we entered the door of the Station, we were greeted by a Little Palm Island employee who quickly and efficiently arranged for our luggage to be removed from our auto and placed on a bell cart to await transport to the island. Registration was an unfussy affair that was made enjoyable by a complimentary beverage – we chose a refreshing rum punch – very tasty. 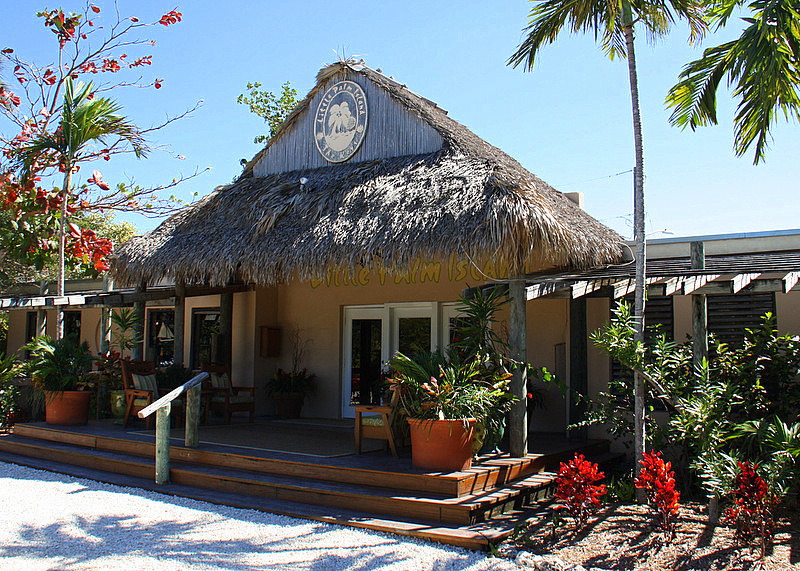 Check-in went quickly – no doubt attributable to the fact that there are only 30 guest quarters at the Little Palm Island Resort. We parked our rental car in the lot adjacent to the Station, and proceeded to the Gift Shop, which was chock-full of interesting objects including sundry headgear and upscale clothing. It was a beautiful day, so we lounged on the outdoor patio while waiting for our motor launch ride to Little Palm Island. 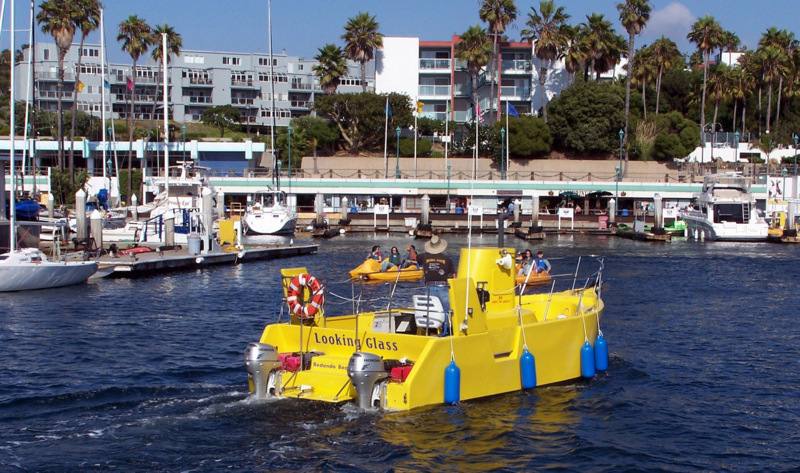 There are just two ways to get there – boat or seaplane. The island is only 3-miles from the Station, and the launch departs hourly, so the choice of transport was an easy one. At first glance, we thought our transportation to the island was a sleek 1930s Chris Craft motor launch – but it wasn’t. In reality, it is a 1990s built replica that looks and sounds like the real thing. Before we knew it, we were being whisked away by a uniformed four-stripe captain in a classic motor yacht to an offshore island paradise. Instead, we were greeted by a very cordial island guide in smart tropic attire. 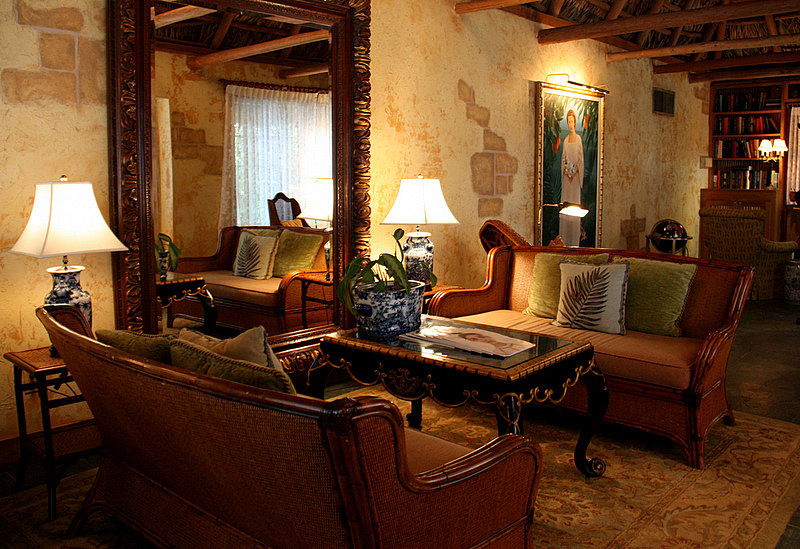 He told us that our luggage was already waiting for us in our elevated thatched palm roof “Sandpiper” suite. 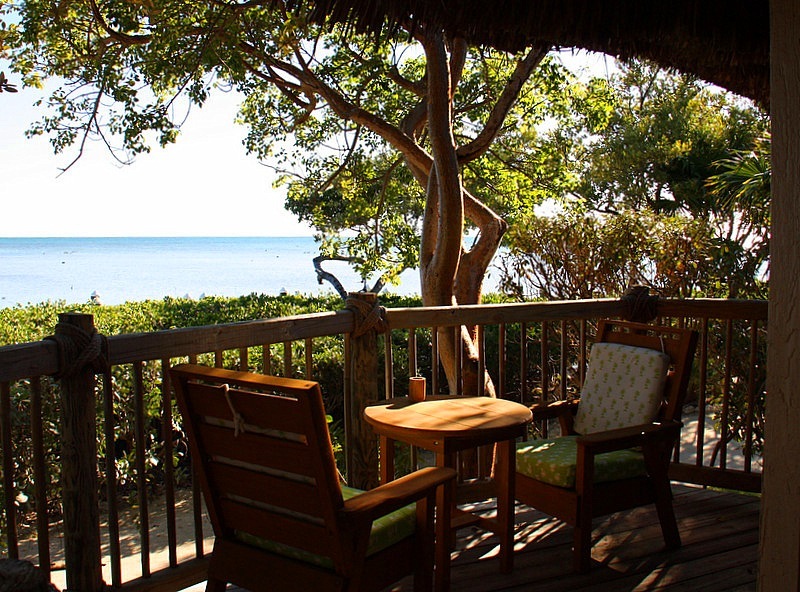 The bungalow suites are harmoniously named after tropical birds – and that is so very fitting in this Audubon haven. 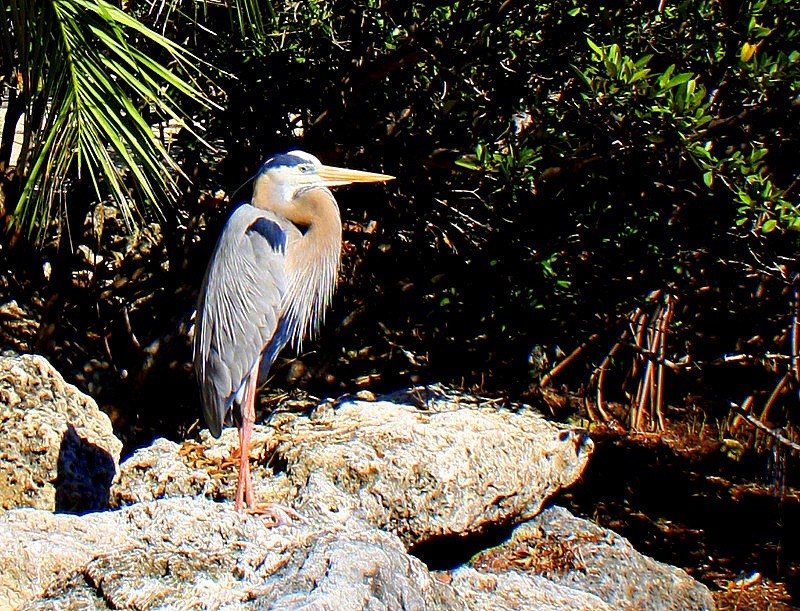 One of our first introductions was to “Spencer” a dominant gray heron and distinguished character. 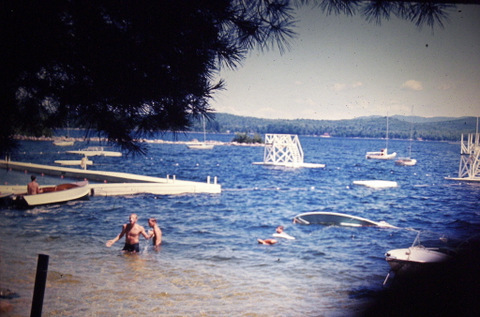 Spencer lords over the shallows of the island. Our guide told us that Spencer could be occasionally cranky and territorial when it comes to other “big” birds eyeing his island for a roost. Later in the day, we were privileged to witness Spencer doing a ceremonious roust of a very big and lanky white crane. We toured the entire Little Palm Island in about 45-minutes. The meandering manicured white sand paths and thick tropical landscaping are ingeniously designed to ensure bungalow privacy. 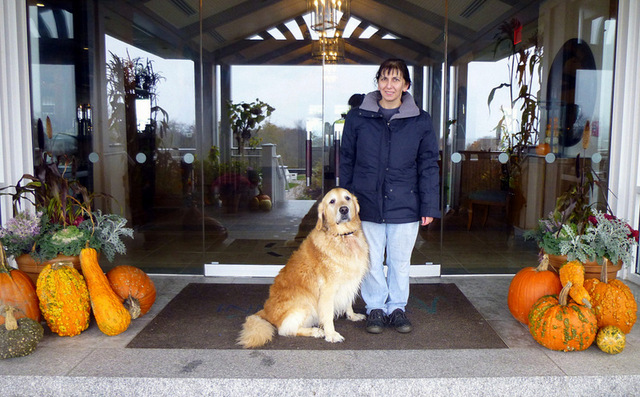 During our walk, we passed by the Spa Terre, the Library, the Zen Garden, the splendid outdoor pool, the outdoor chess set, the island gift shop, and the bar and restaurant. Guests have free access to fishing rods, kayaks, beach boats, small sailing crafts, and romantic double umbrella shaded lounges that are strategically placed throughout the island. 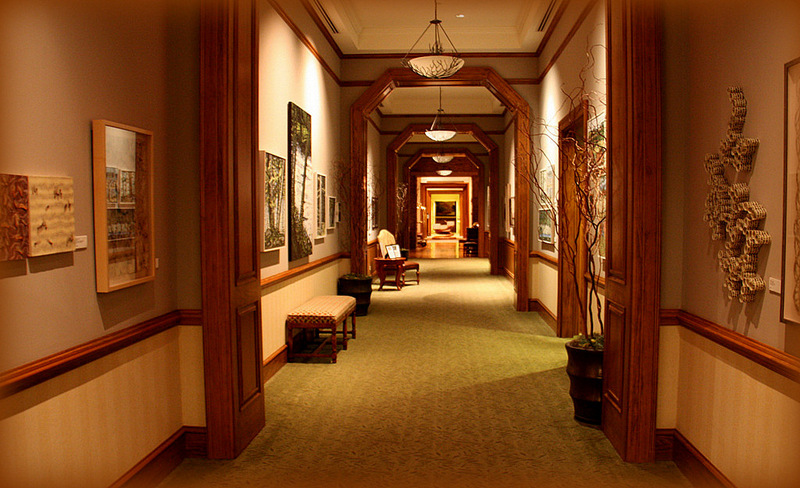 There is much ado about the Trumans on the island, including two full-length oil paintings of the famous couple in the Library. 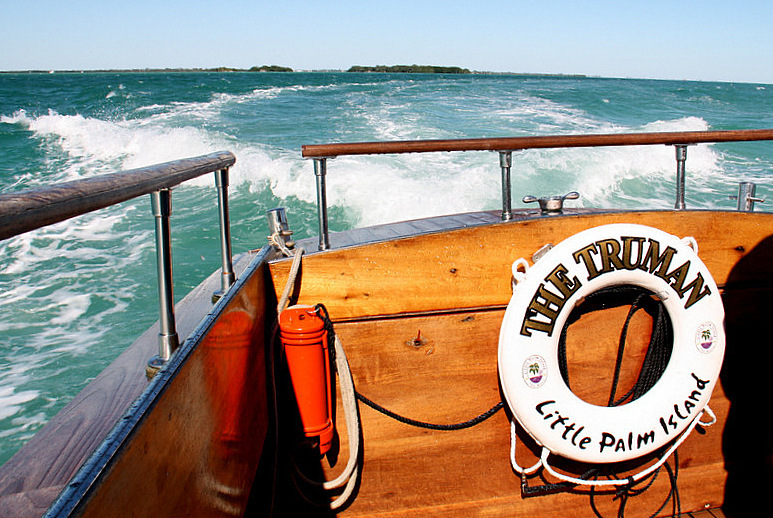 The pride stems from the president’s affinity for the isle when it was a private fishing resort. Admiral Bill “Bull” Halsey was one of the many famous island guests of the Trumans after the War. Another president and Navy veteran, JFK was on Little Palm in 1962 to watch the filming of PT109 – a movie about his heroic exploits aboard a PT boat in the Pacific during WWII. Just when we thought we had seen everything imaginable on this contemporary Fantasy Island, a tiny-toddler of a Lilliputian creature walked onto our white sand path. 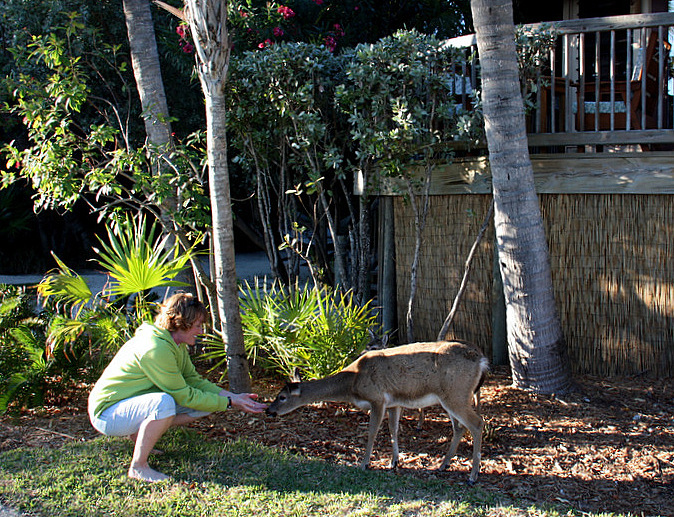 Here before us was a Key Deer fawn – so cute – and quite tame. Before long, the fawn’s mom came along, happy to join in the photo op. 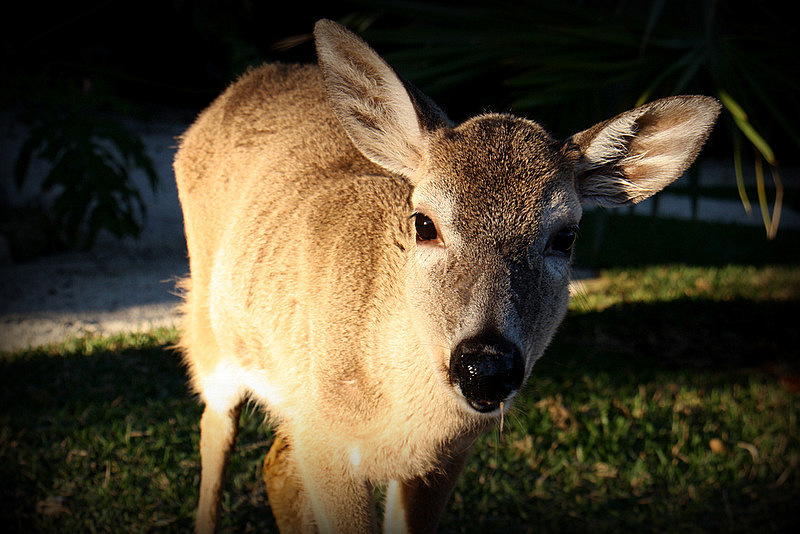 The Key Deer is an endangered species native to the Florida Keys, and the Little Palm Island mini-herd swims over from a neighboring island – maybe to nuzzle the various celebrities that populate the resort from time to time. It is illegal to feed these little guys, but a joy to commune with them. 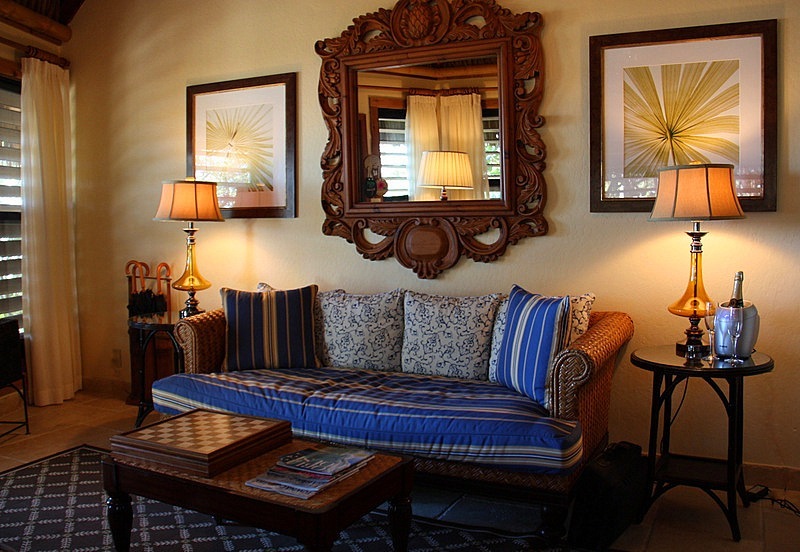 Each room in the Palm Island bungalows is like a character in a play. 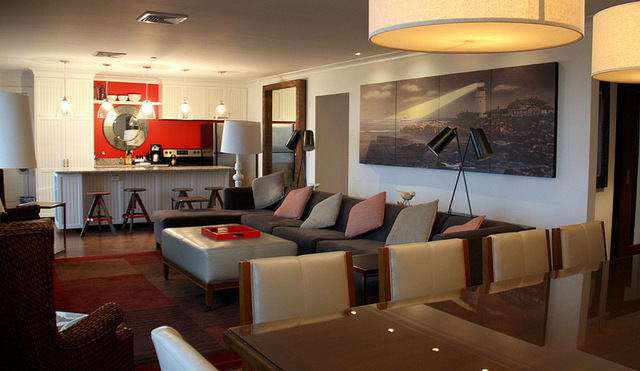 When combined, all the clever little things inside the suite add to the ethos of high living in paradise. 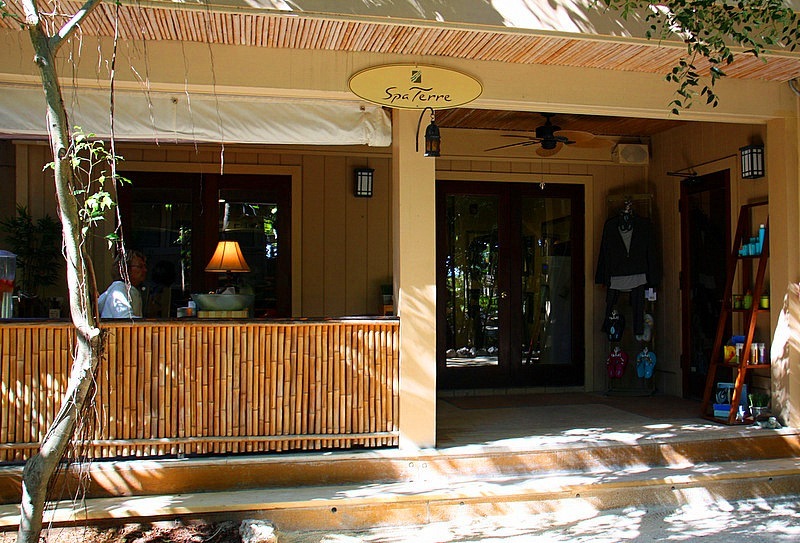 Our suite was #23, The Sandpiper Suite, and it is very much like the other bungalow suites on Little Palm – a good thing because all 30 bungalows were occupied. 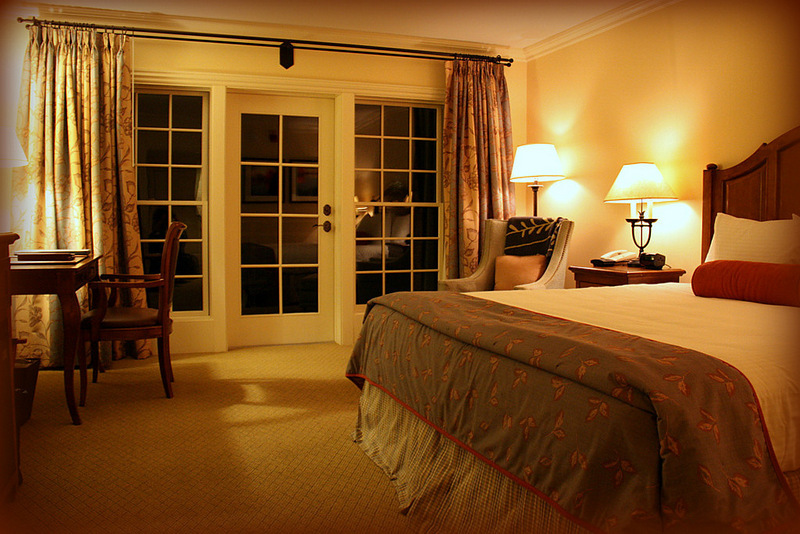 We only had an opportunity to photograph the inside of the suite where we stayed. 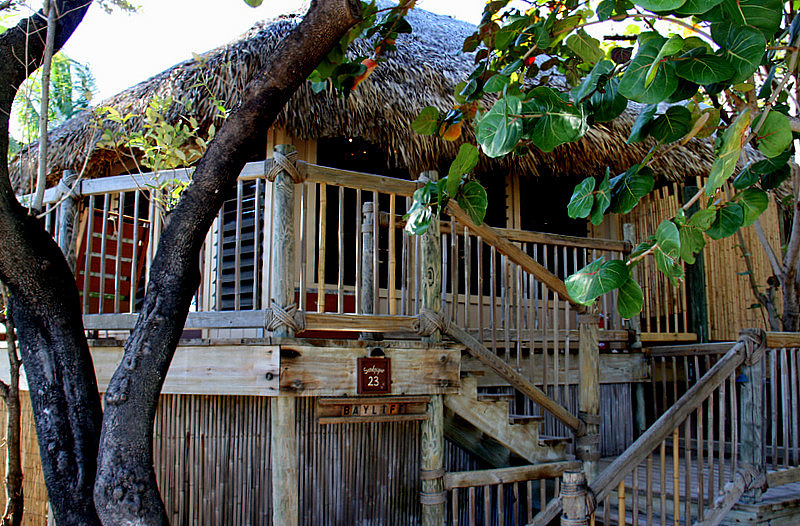 All the bungalows are South Seas castaway dream homes with a dash of British Colonial charm. 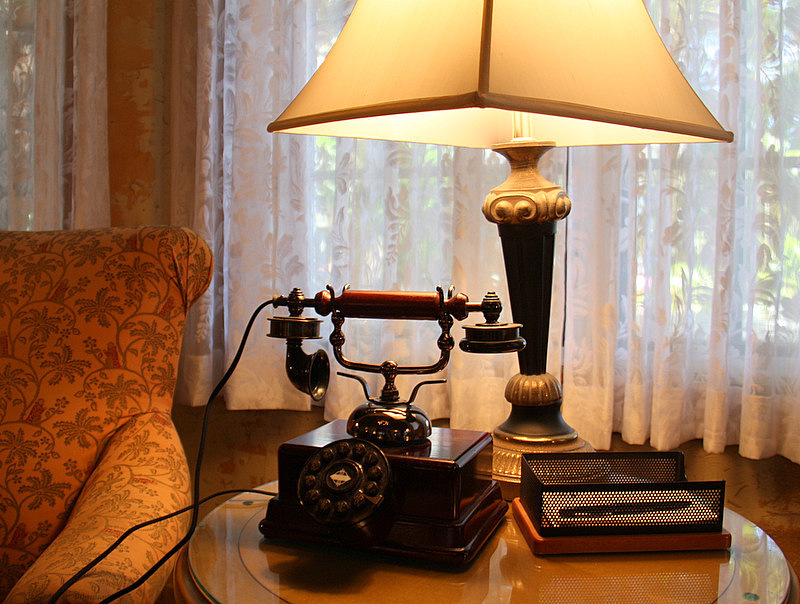 Each thatched roof suite-hut is outfitted with a well-appointed living room with comfy woven-seagrass sofa and chairs, a softly humming ceiling fan, military style birding binoculars, a stand of old-fashioned umbrellas, and a replica antique telephone with which to communicate with the Quarterdeck (Concierge). 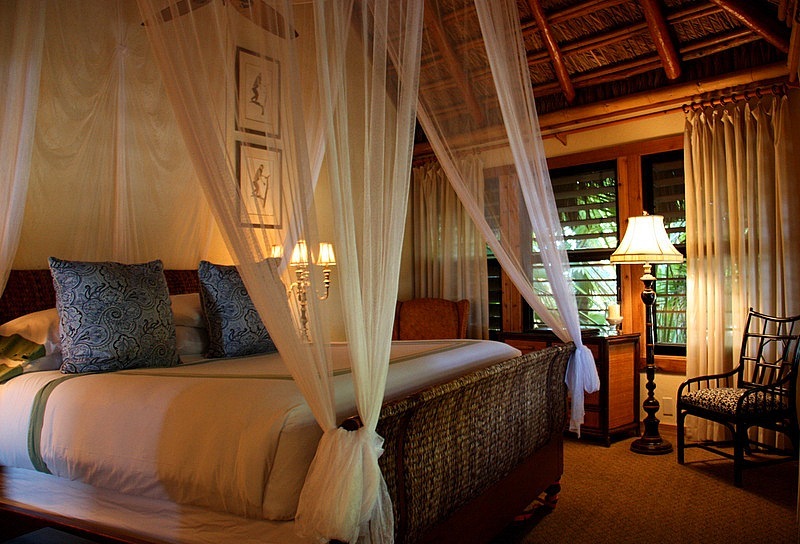 In the evenings, the large bedroom in each bungalow is softly lit by a simulated-candle that enhances the romance of the lavish room by casting exotic shadows on the wooden beams above. Your sleeping comfort is guaranteed by an elegant and uber-comfortable king four-poster bed complete with decorative netting and zephyrous ceiling fan. 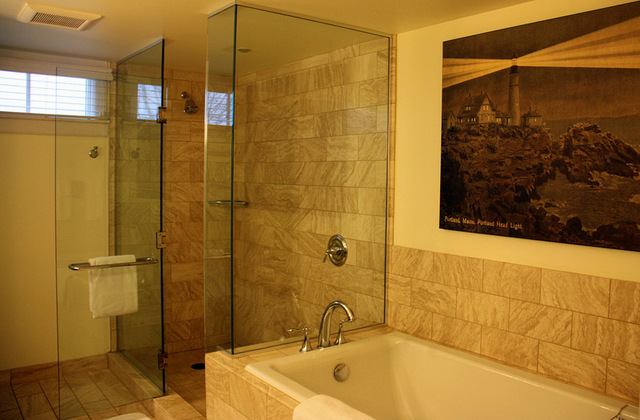 Our suite also had a soaking tub, a large modern shower, and an attached outdoor bamboo shower room. Of course, all the suites are fully air-conditioned. 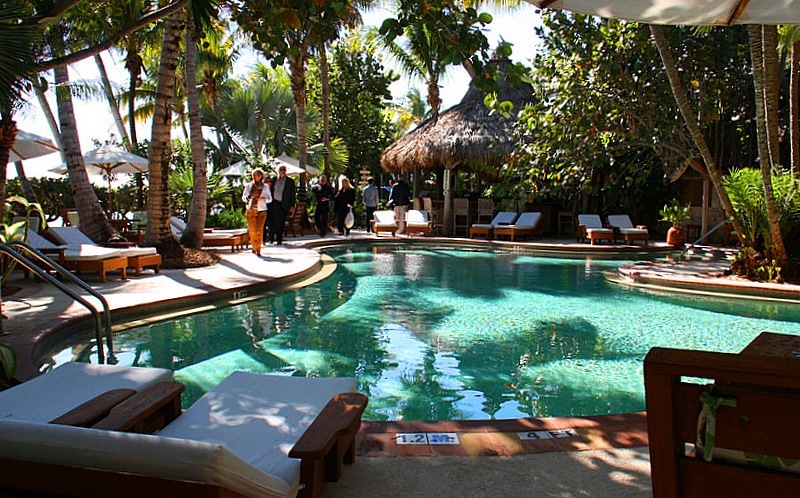 This is what present-day tropical luxury is all about. 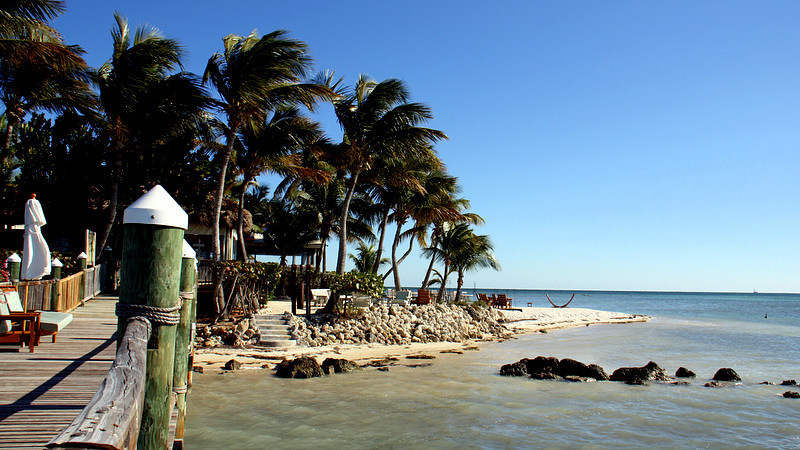 Little Palm Island is a place of leisure. 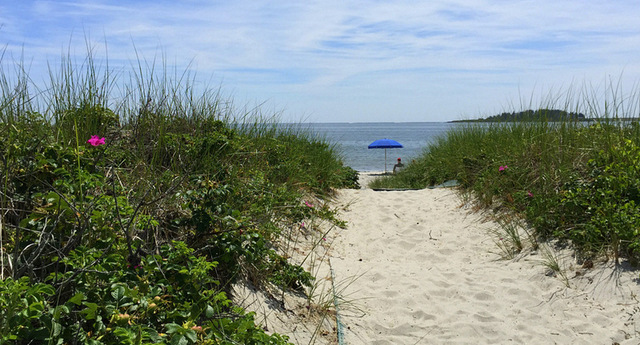 Go fishing, kayaking, listen to the birds or the quiet lap of the sea against the shore. 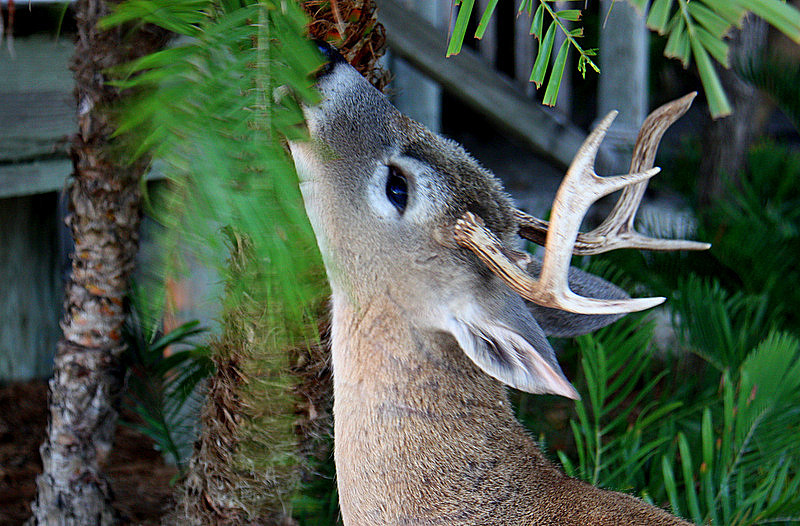 Wait for a Key Deer to entertain while you sip a soothing beverage on your veranda, in the garden, or by the pool. Lounge on the beach or on one of the wooden walkways overlooking the sea – there are no bad choices on Little Palm Island. Relaxation sometimes requires help. That is why the suites do not have Wi-Fi service, TVs, or off-island telephones – and there are no children allowed on the island. If you are a tech-junkie some of the above might make you nuts, so there is limited Wi-Fi service in the Library, which is also called the Great Room. 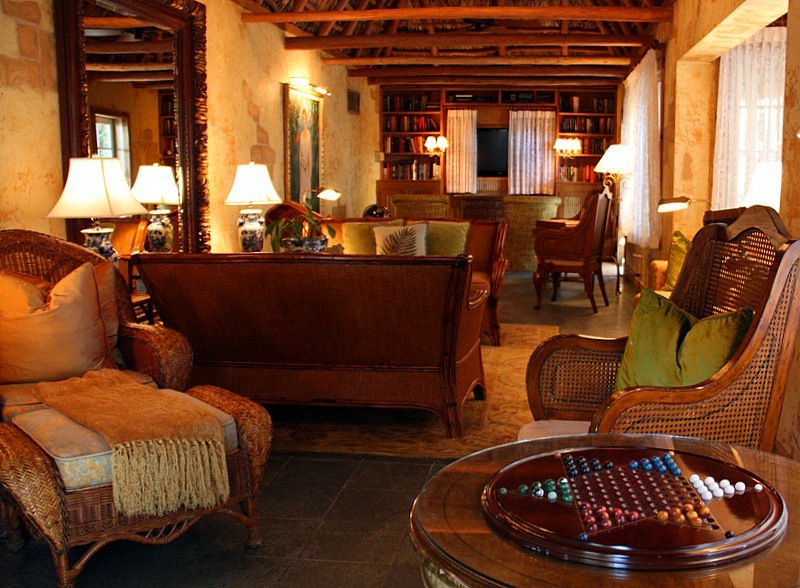 If you look hard, you will also see a flat screen TV among the books and games – it is the only one on the island. Unlike many spa experiences that are a singular event in a busy day, the Spa Terre experience becomes an essential part of your total day on Little Palm Island. We selected the ancient and deep Sacred Stone Massage – but perhaps you would rather a soothing massage on a table in the shallow water of a secluded beach. Whatever your choice, you can continue the bliss by immediately entering the warm and tranquil sea or nearby island pool. 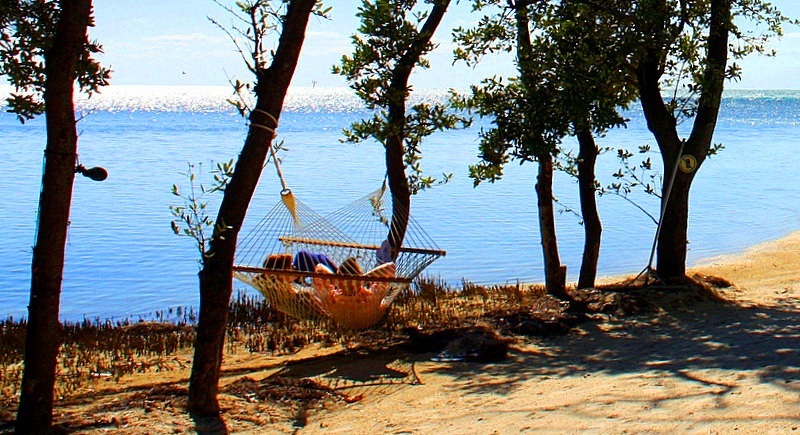 Follow your dip with a shaded rest on one of the islands many comfortable lounges or couples hammocks. Now is the time for a contemplative assessment of the joys of living. 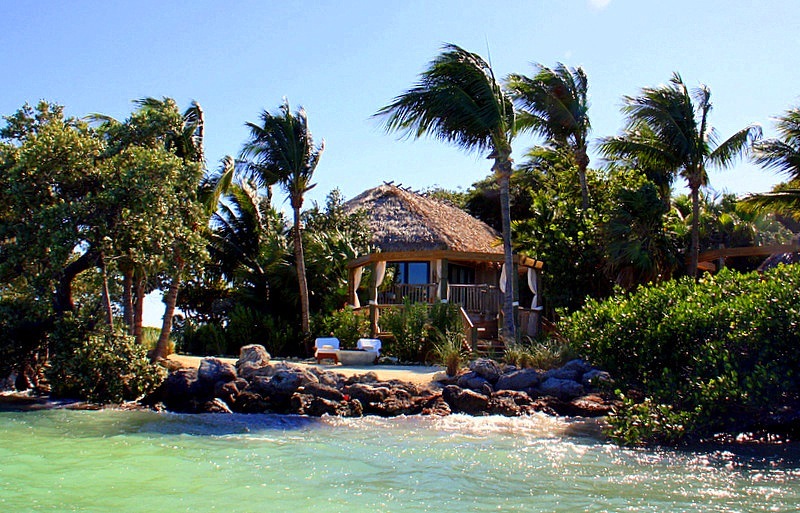 Little Palm Island is about Elysian serenity – your personal Shangri-La. 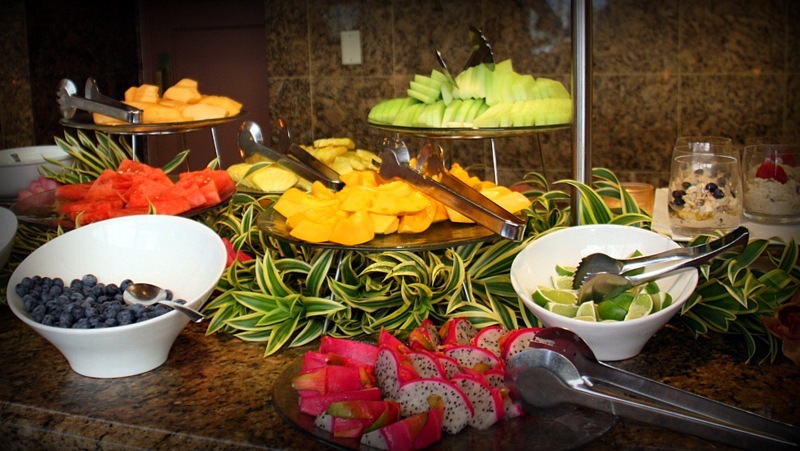 Food plays a role of cardinal importance at the Little Palm Island Resort and Spa. 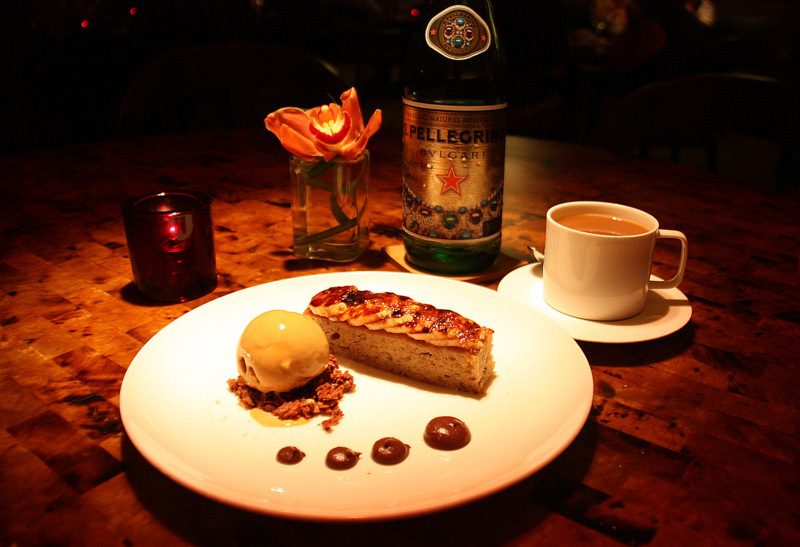 Savor a focused cuisine of Latin ingredients and French techniques. The menu created under the influence of Corporate Executive Chef Luis Pous, and enhanced and orchestrated by Executive Chef Brendan Mica and his team is nothing less than superb. Need we say more than Zagat rated the Little Palm Dining Room as the third best dining facility in the United States, and number one in the state of Florida. 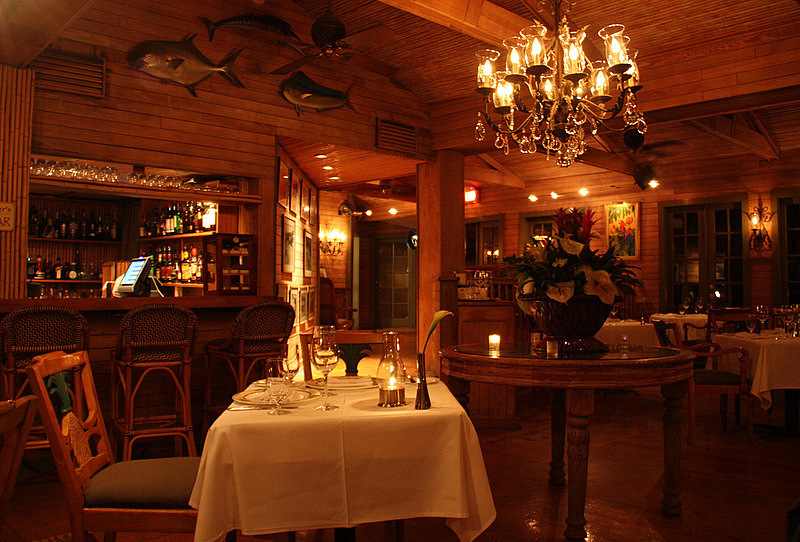 The menu choices are both sophisticated and approachable, and reflect the location and relaxed atmosphere of Little Palm Island. 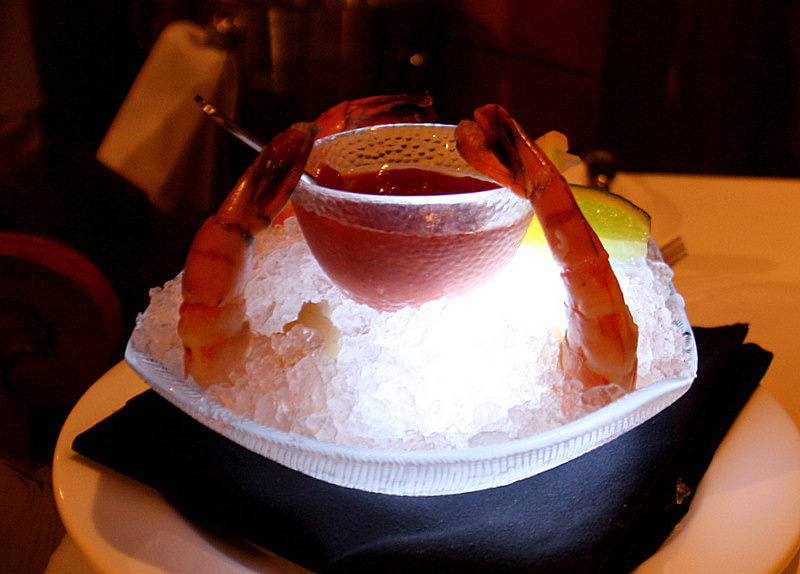 For our appetizer, we chose a uniquely presented shrimp cocktail. 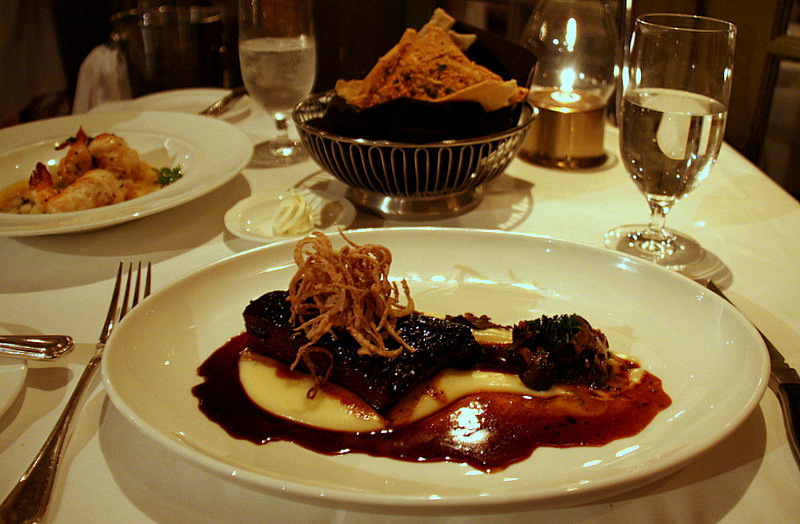 Rosemary Braised Short Ribs with a lavish medley of aged white Cheddar, creamed potatoes, mushrooms, truffle, and crispy shallots. As guests opened and closed French doors between the restaurant and adjoining lounge, we could hear barely audible conversations and laughter. Even with the doors closed, we enjoyed the faint familiar tunes being played by an entertainer on the lounge piano. An after dinner digestif, accompanied by the murmured tinkling of piano keys in another room – and a sky full of seemingly touchable stars – it does not get more romantic than this. 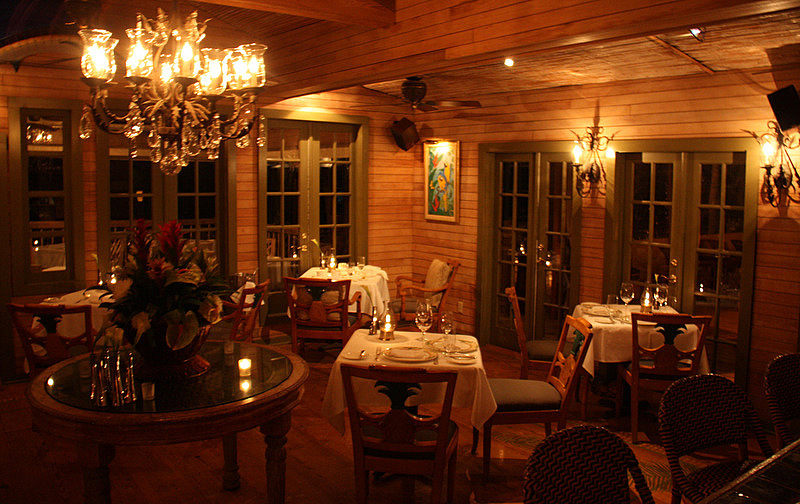 The late Paul Newman, and Marvin Hamlisch relaxed in this restaurant – we suspect they were equally captivated by the setting. 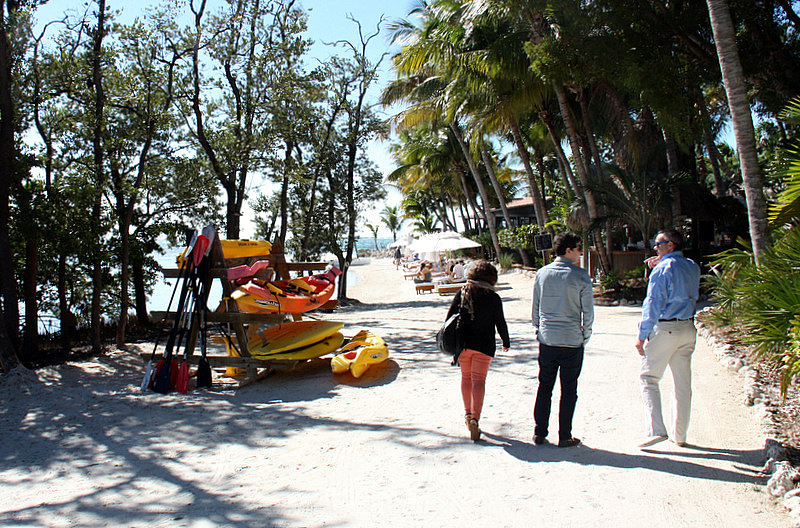 Little Palm Island Resort is the Florida address of the elite traveler. It has a cachet that will appeal to those with discriminating travel tastes. 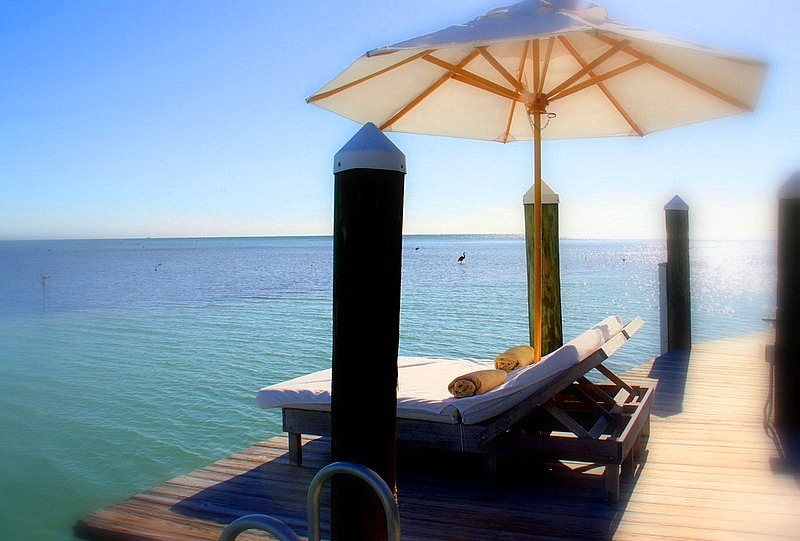 We recommend it to anyone wanting to experience the luxury of exclusive private island vacationing.